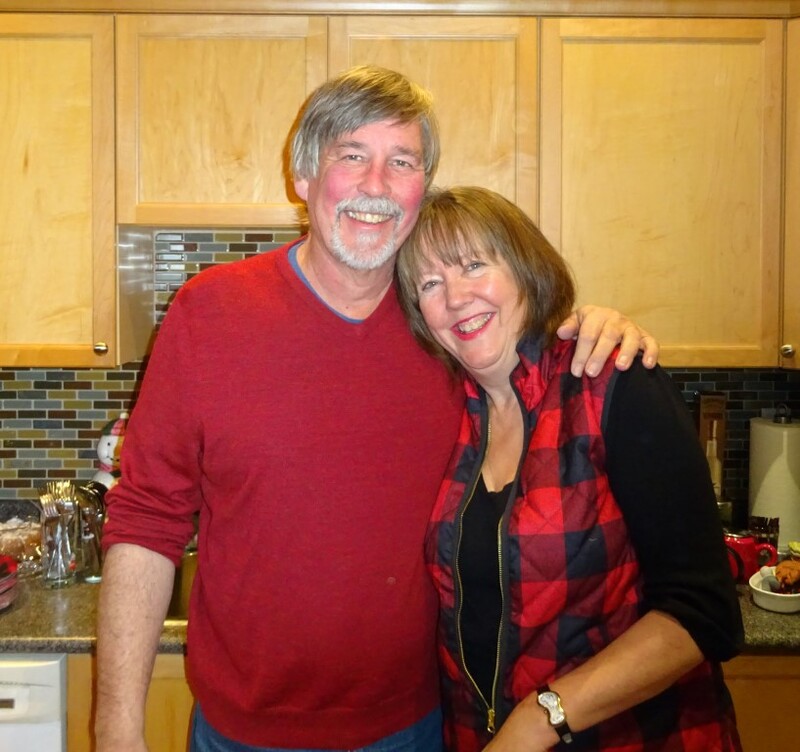 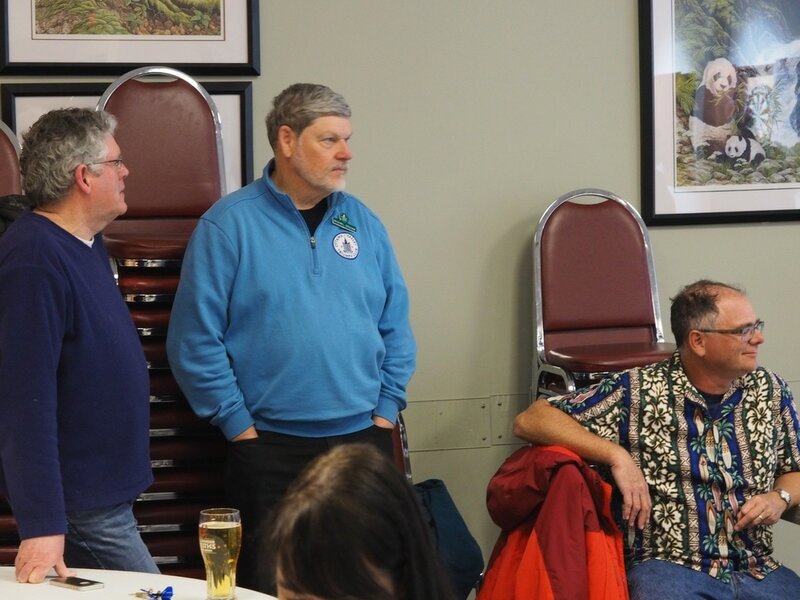 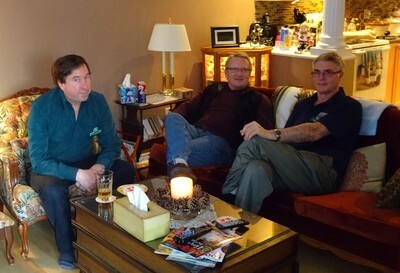 Many thanks to Phil and Marie for hosting this year's winter bash. 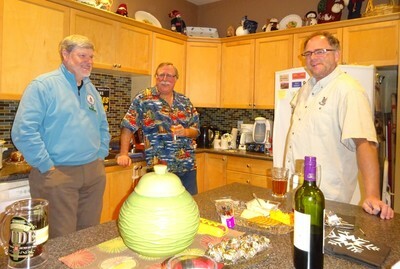 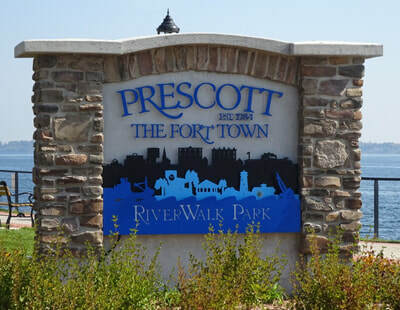 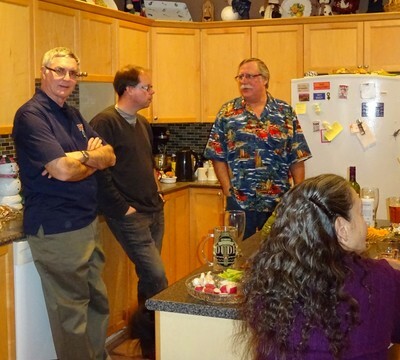 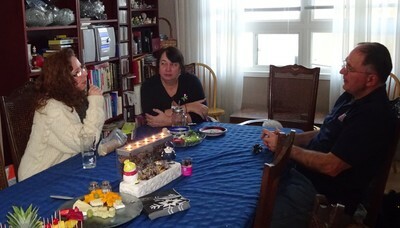 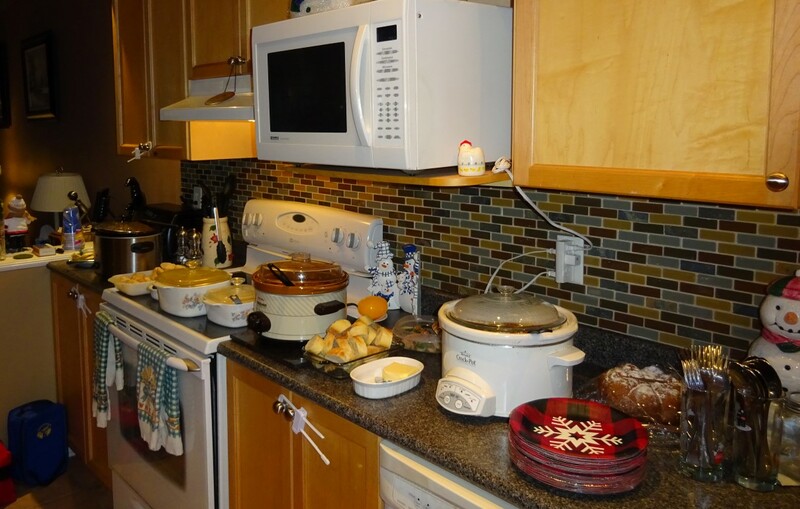 A great time, good friends, and fabulous selection of pot-luck dishes. 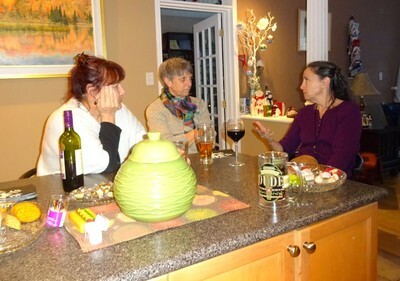 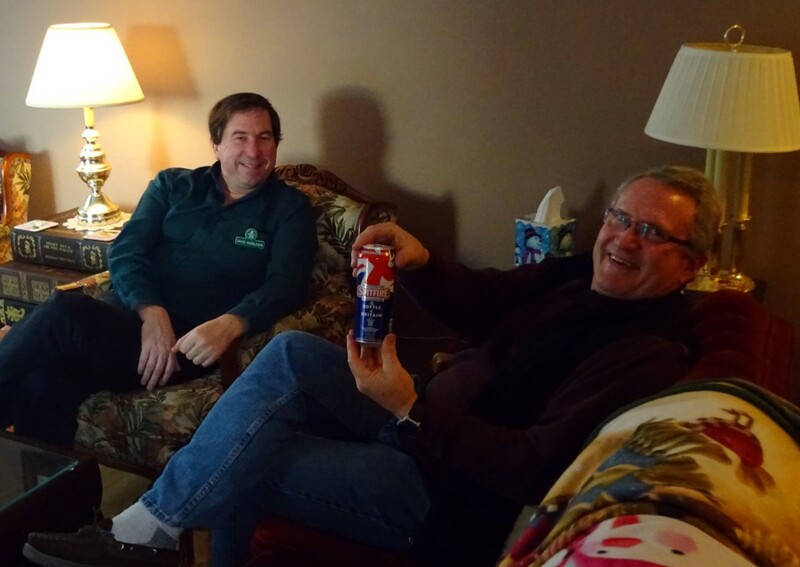 Great to catch up with friends after the holidays. 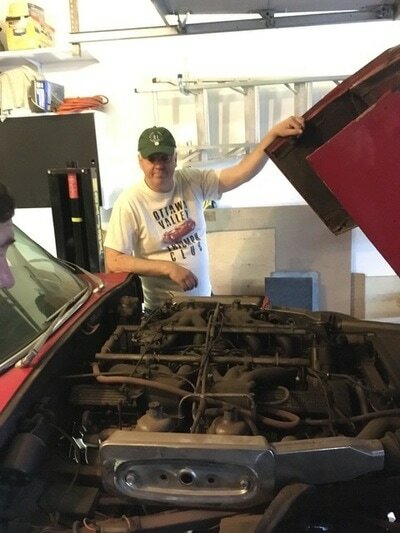 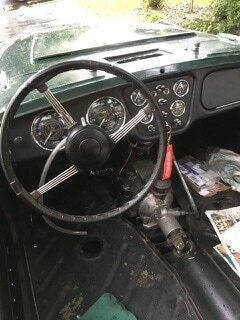 Thanks to David for the very interesting garage tour. 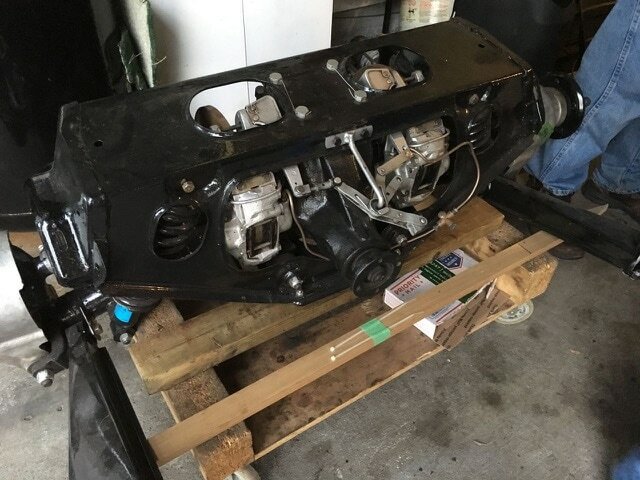 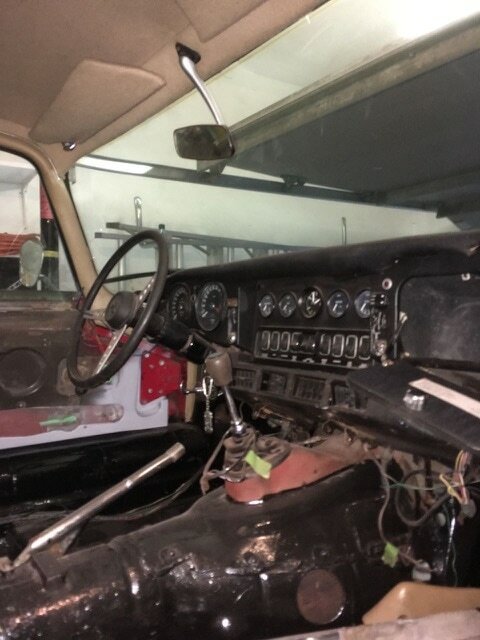 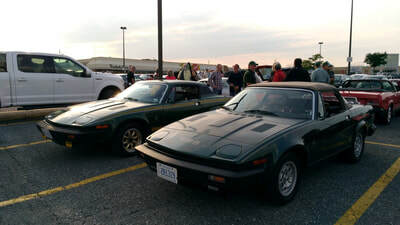 Great to see the progress you are making on both of your cars. 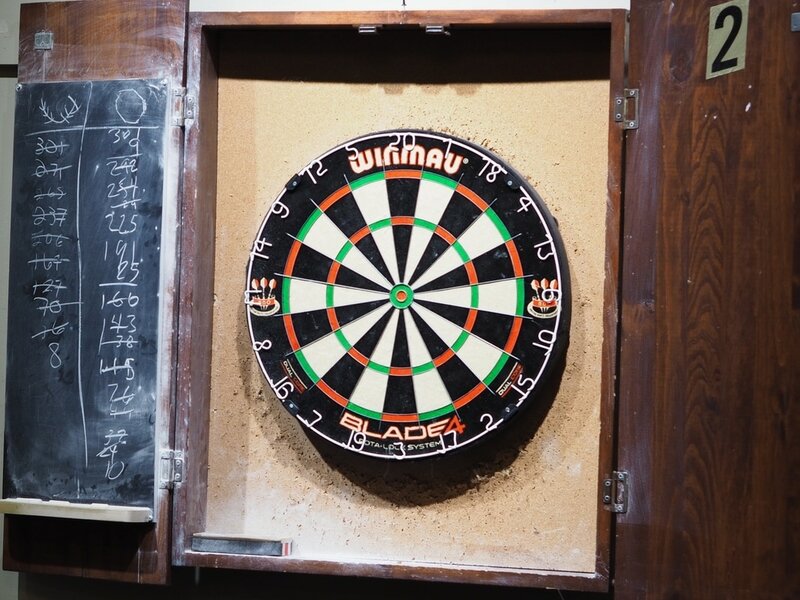 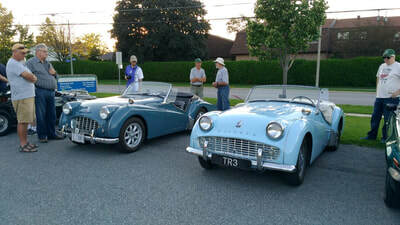 Thanks to Paul W. for the photos. 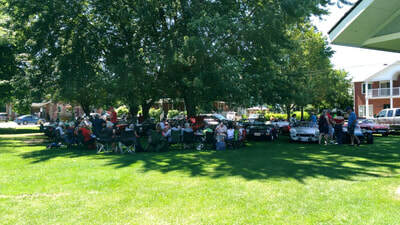 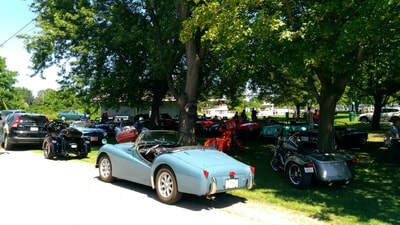 Great weather and turn out at ABCD this year. 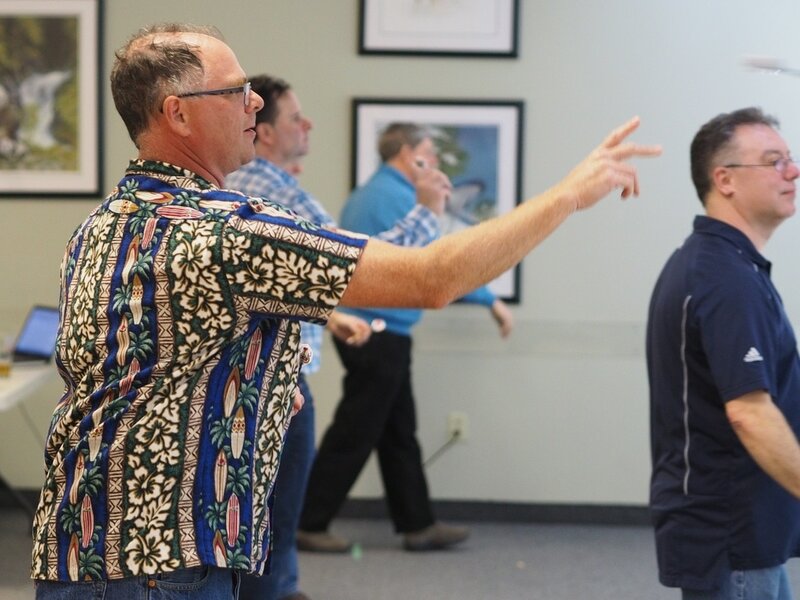 Thanks to Tim, Paul Mac, John N., Tony, and Mike S. for sharing their pictures. 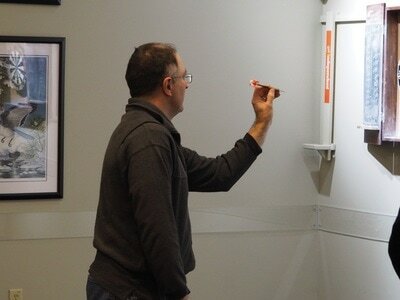 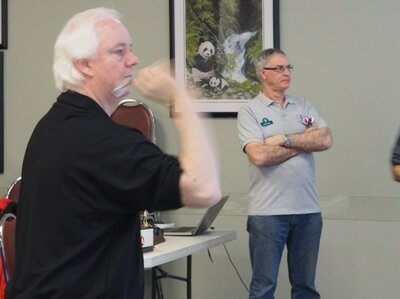 As well, check out the great video produced by Rick Cooper. 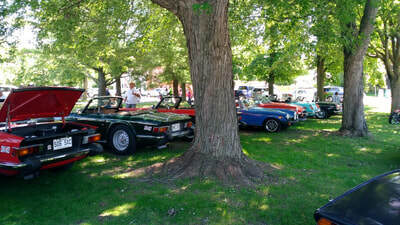 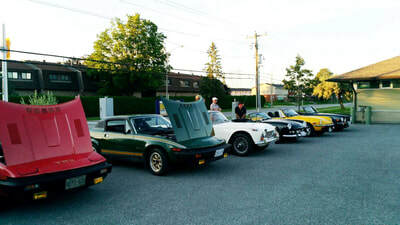 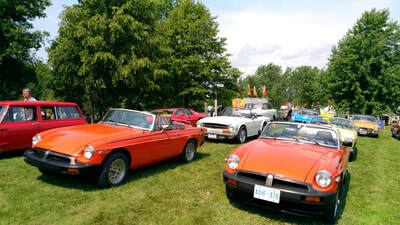 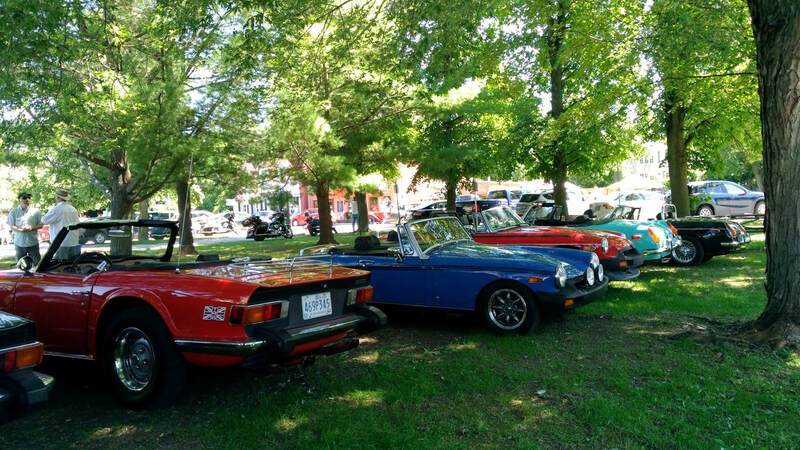 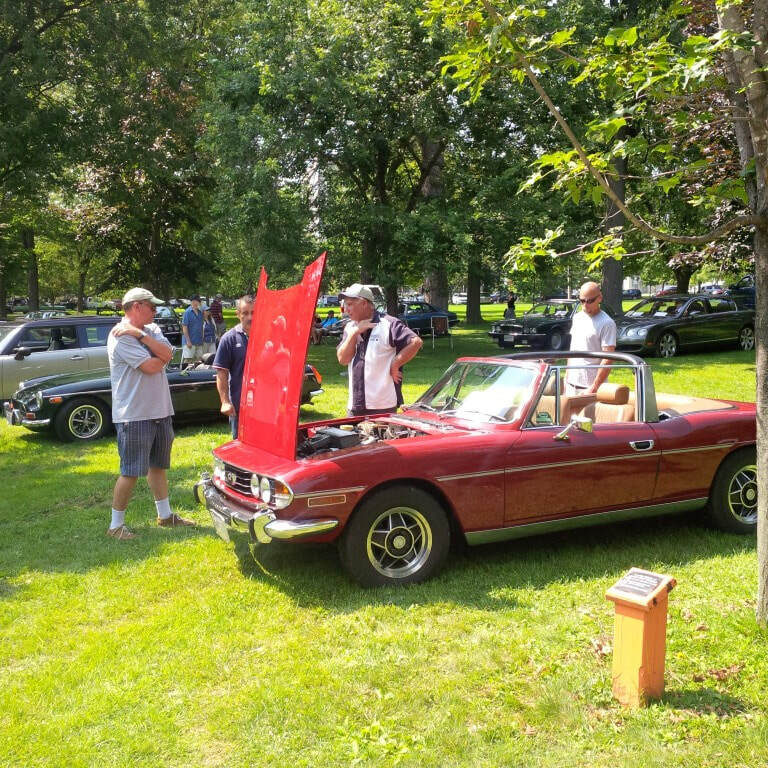 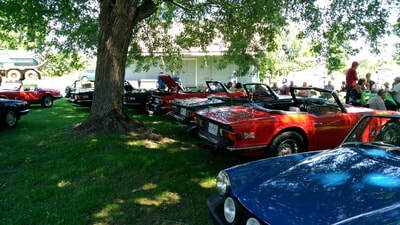 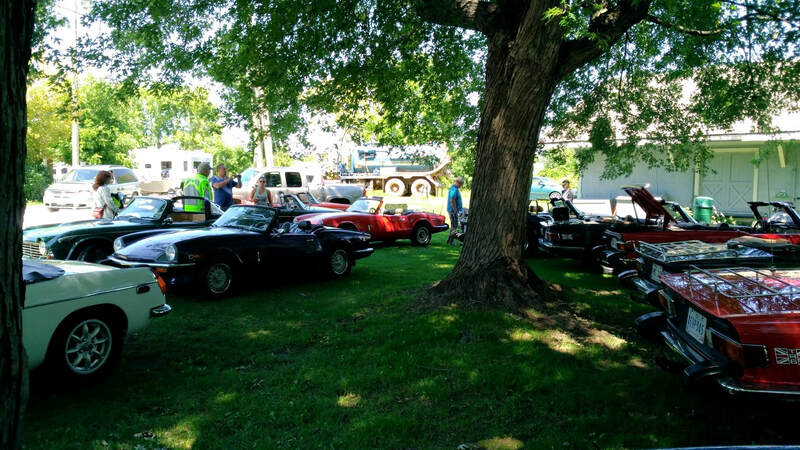 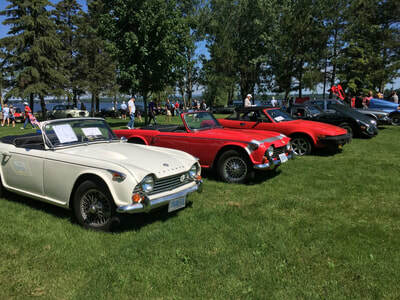 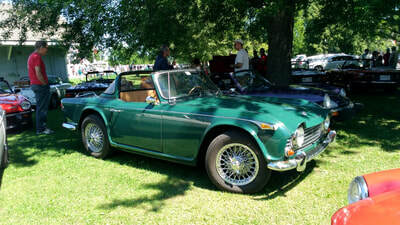 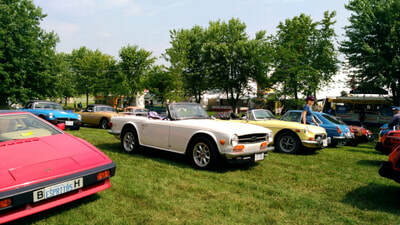 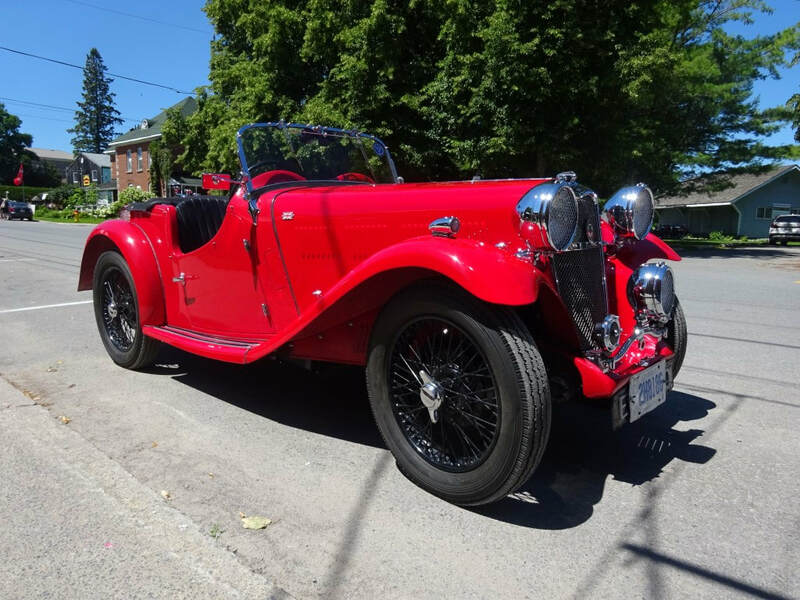 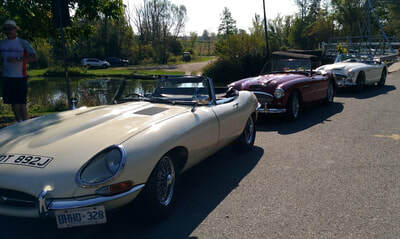 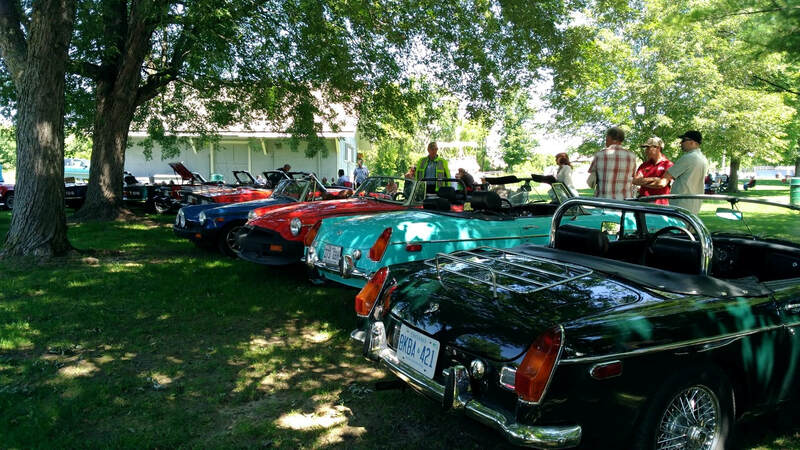 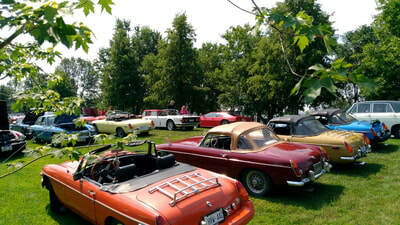 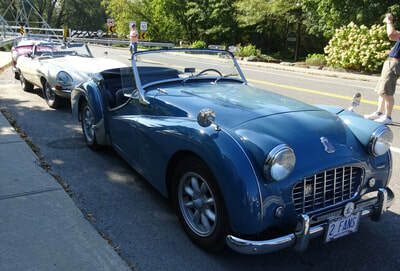 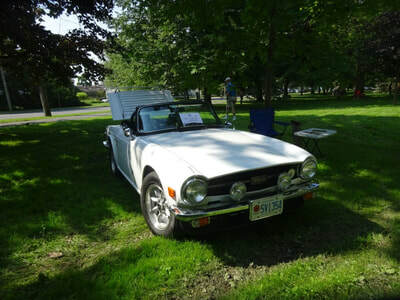 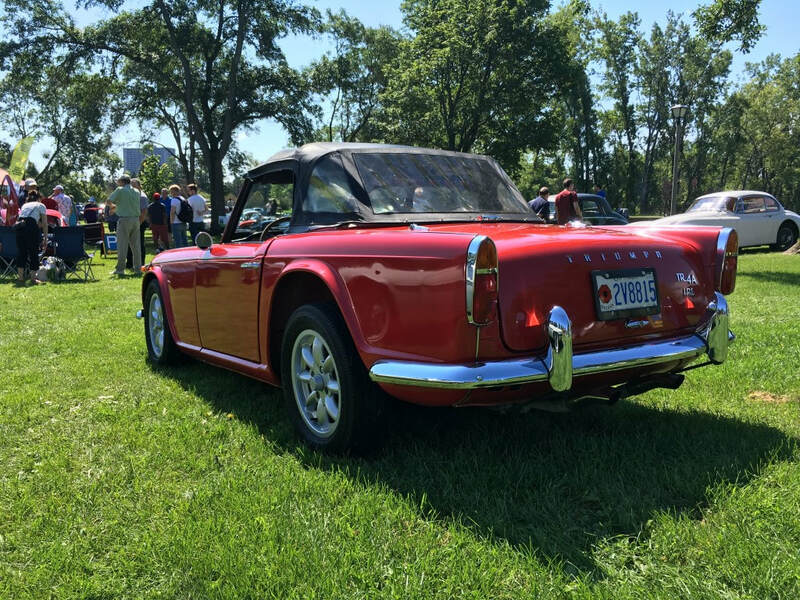 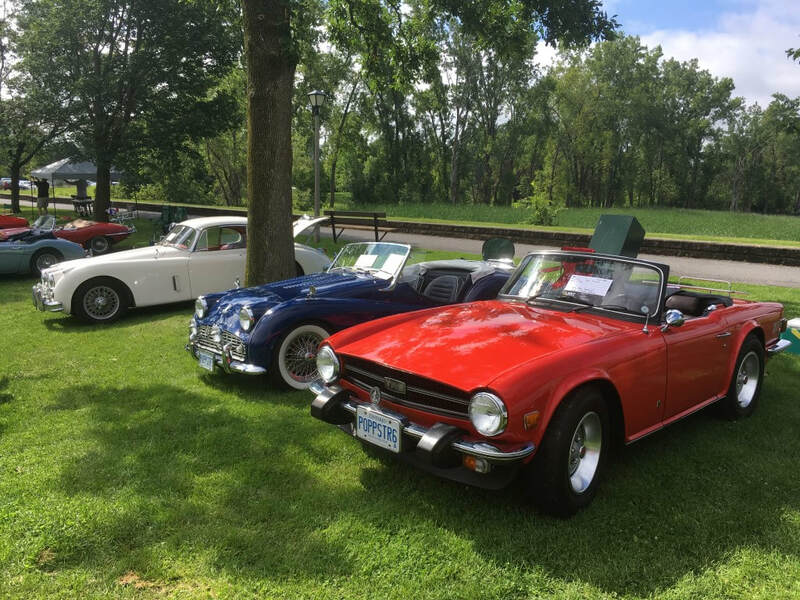 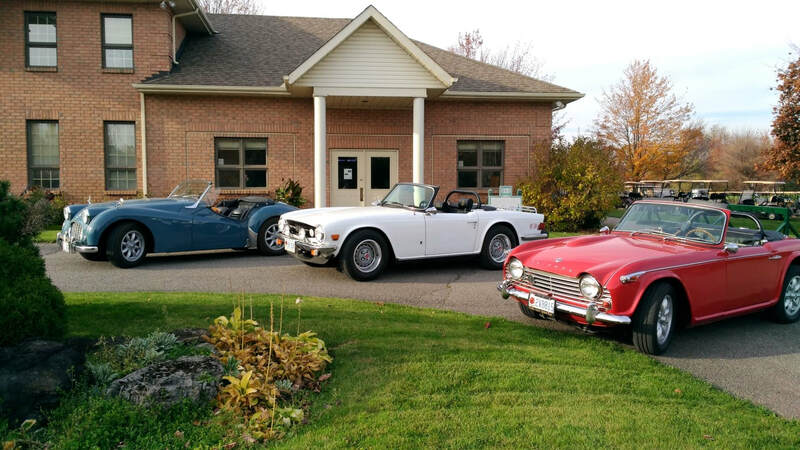 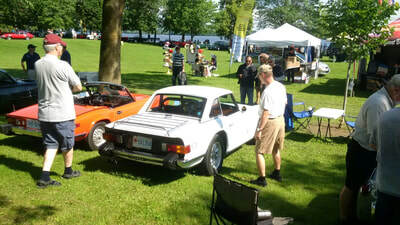 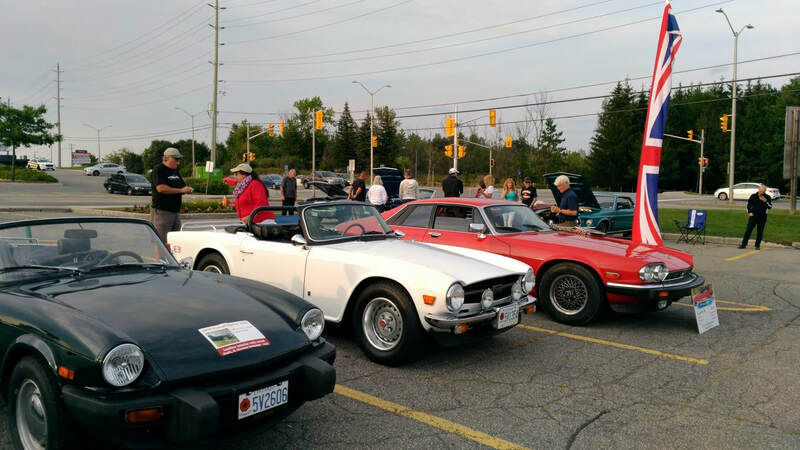 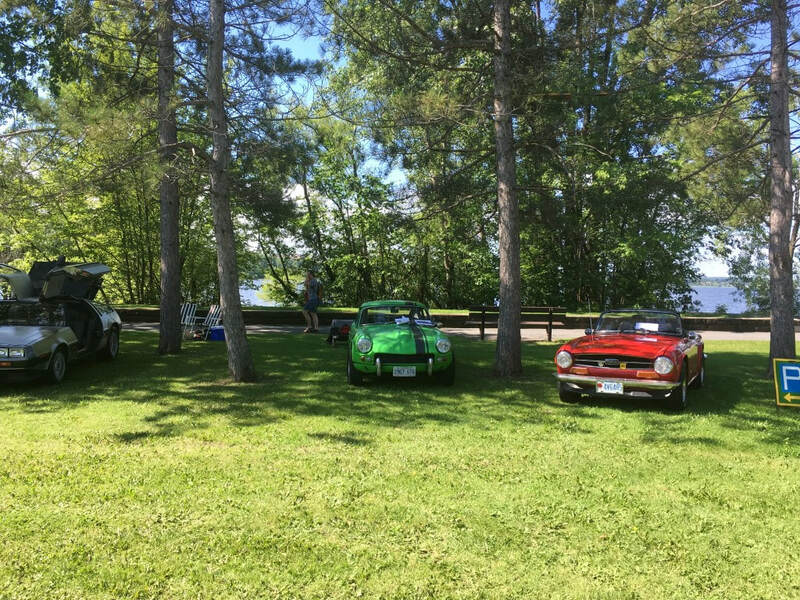 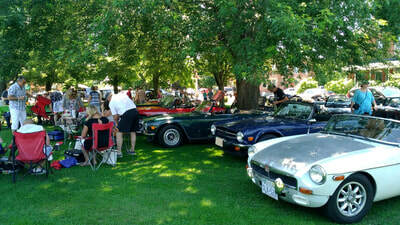 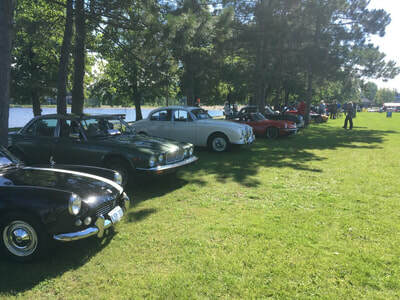 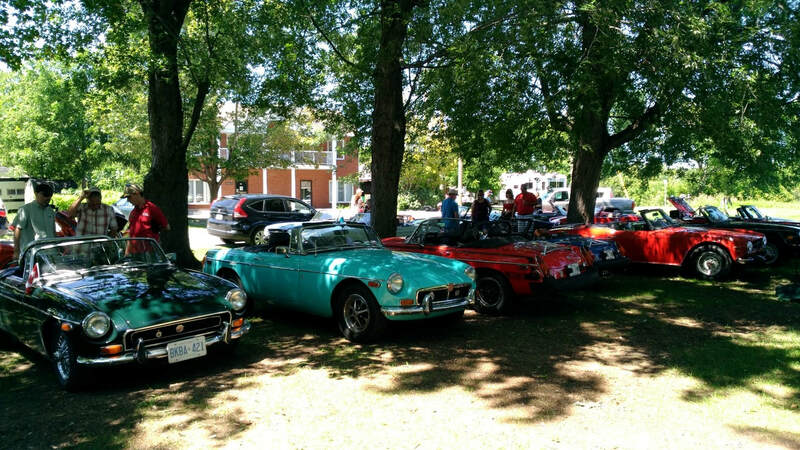 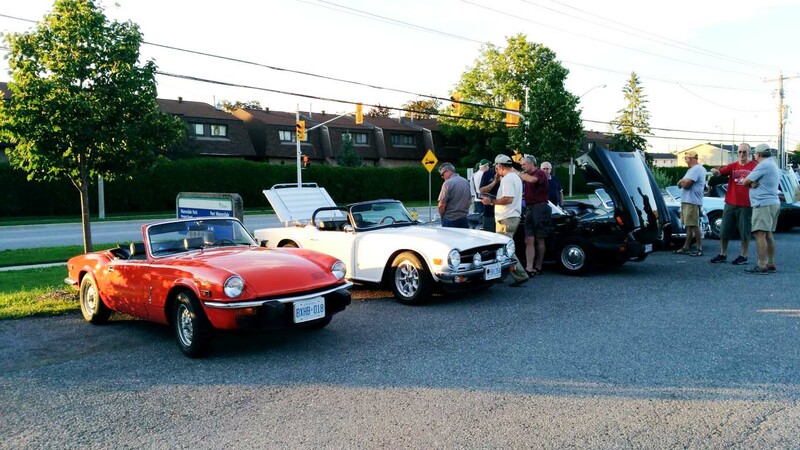 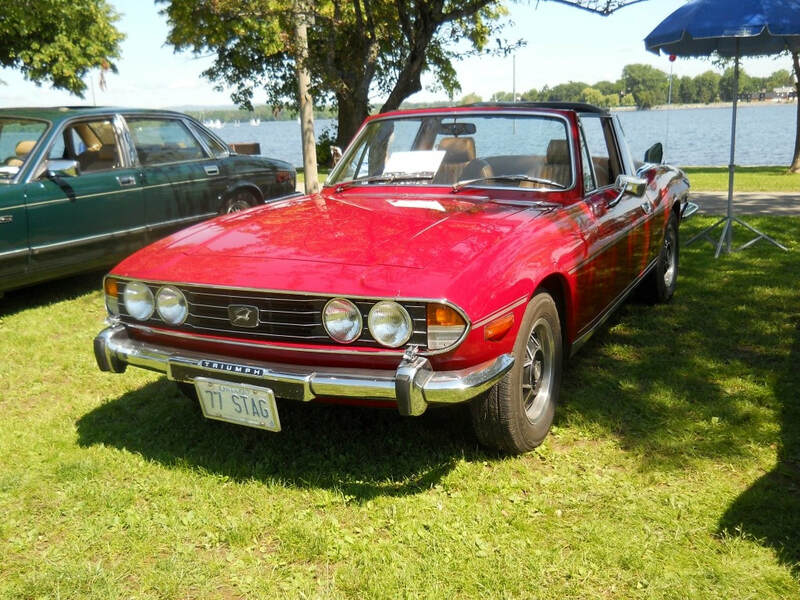 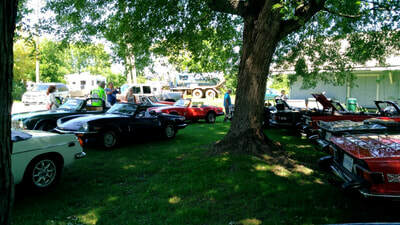 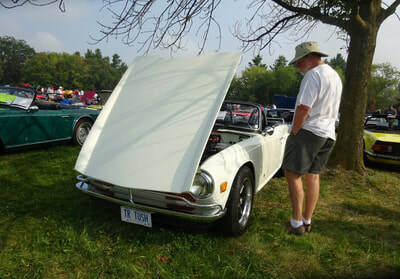 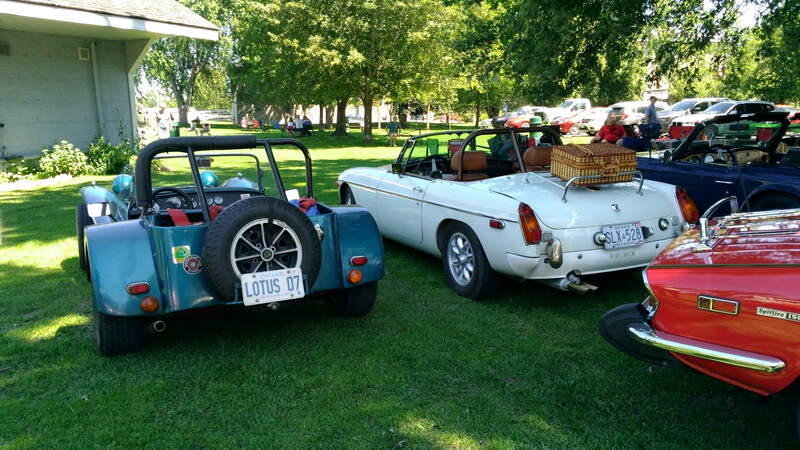 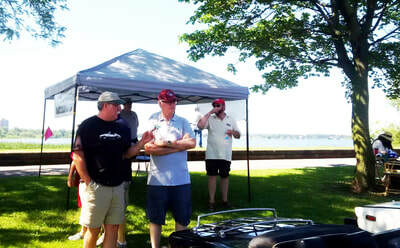 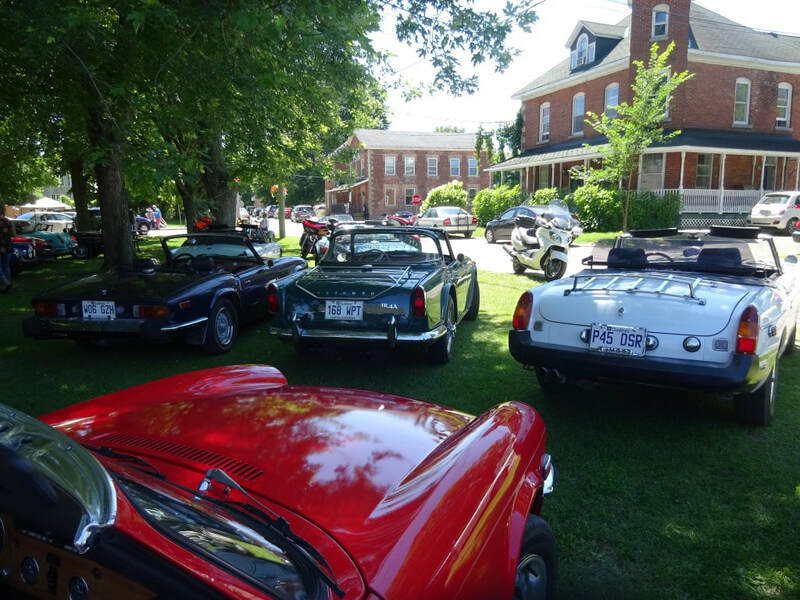 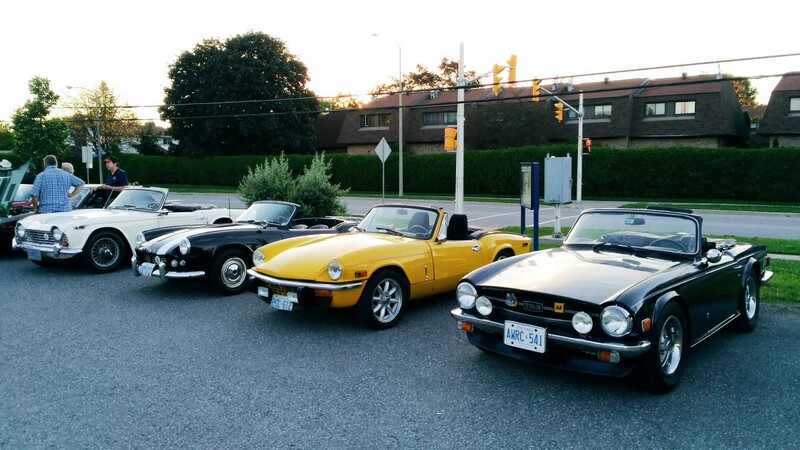 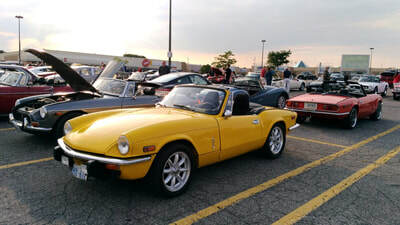 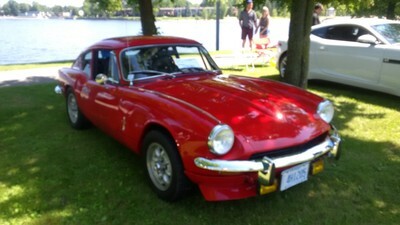 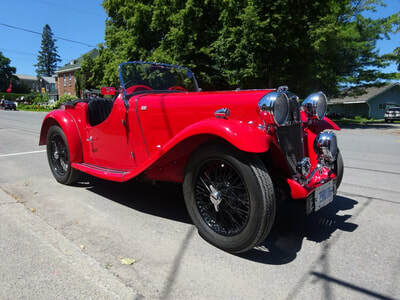 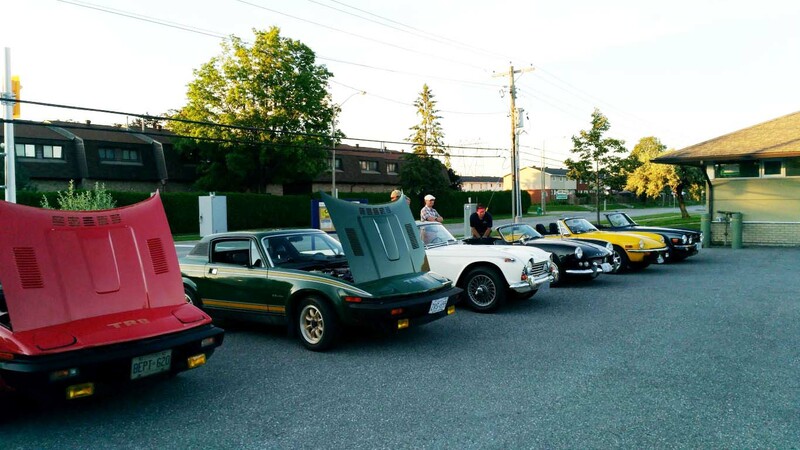 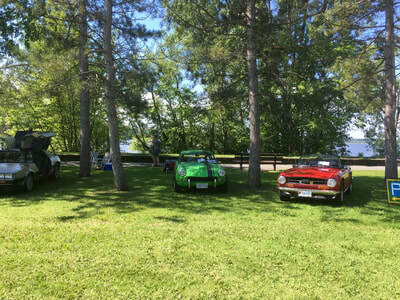 Great day for a drive out from Ottawa to Lock 17 ... Mike S's TR6, Barry's Spit, Dean's TR8, Michel's Spit, and Marie's Jag. 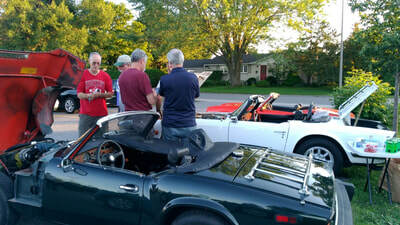 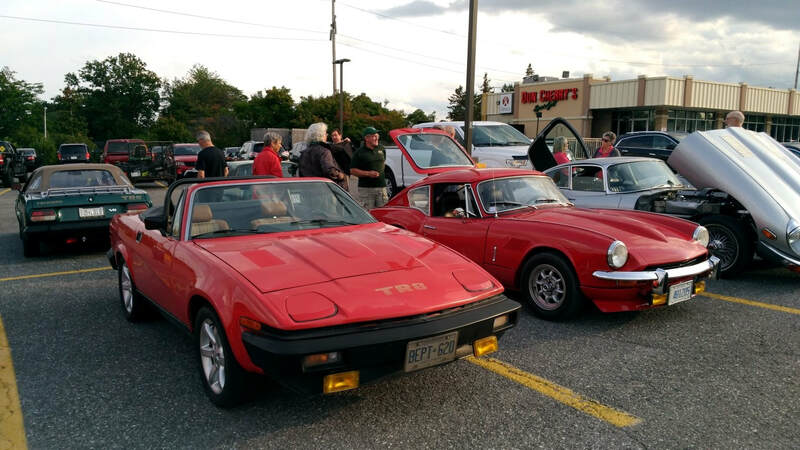 Beautiful evening after all the recent rain, and a great turn out of a dozen cars for the meeting. Great day for a drive to Merrickville. 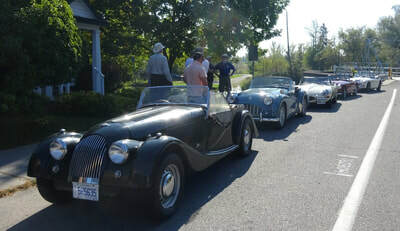 Mike and Lisa S. and Mike and Marjorie G. met up for lunch with several friends from the Ottawa MG club and a great contingent of British car folk from Montreal. 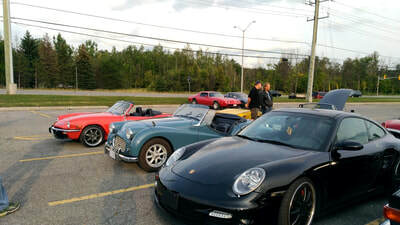 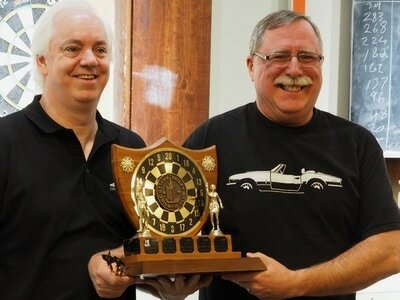 Great to meet some new friends and fellow enthusiasts. 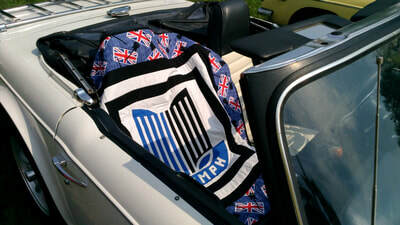 Thanks to Len of the MG club for the invite. 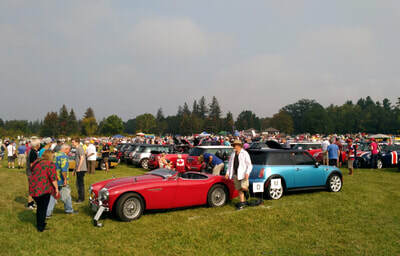 Although it poured first thing in the morning, it was warm and clear for the rest of the day. 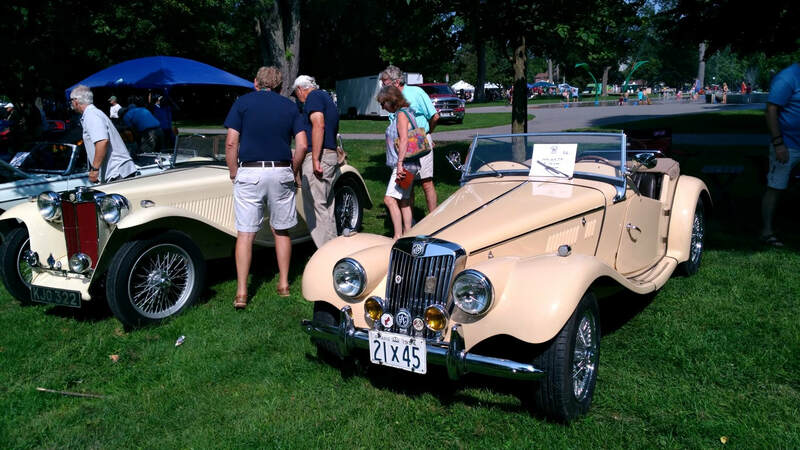 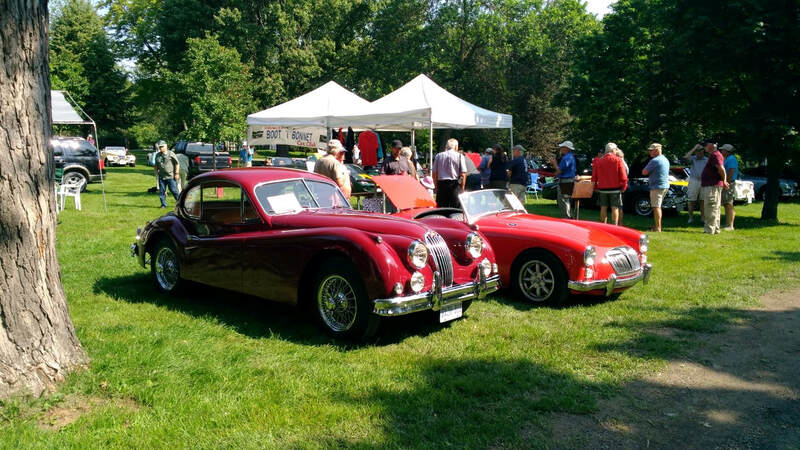 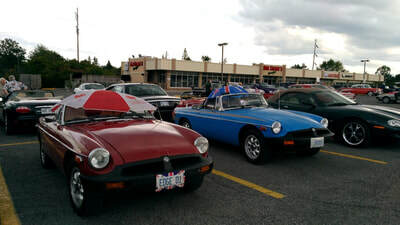 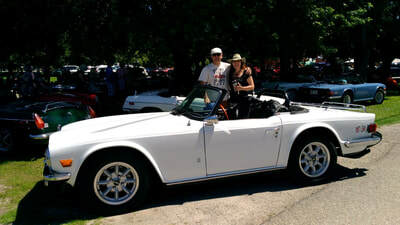 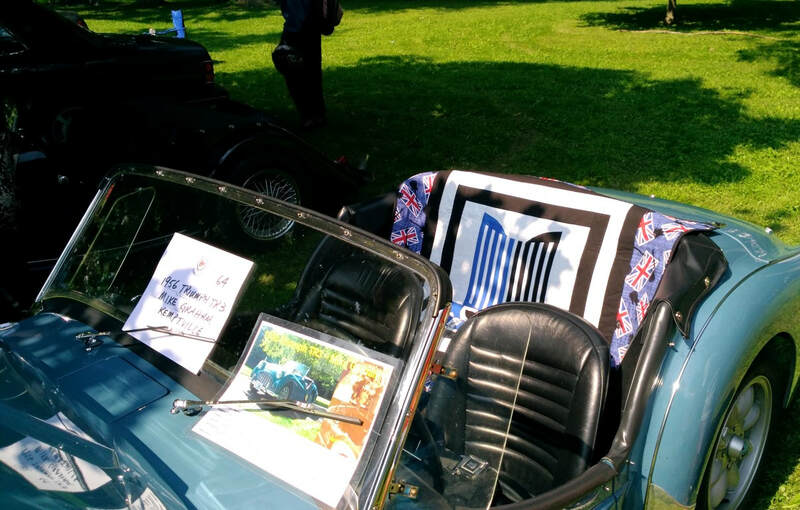 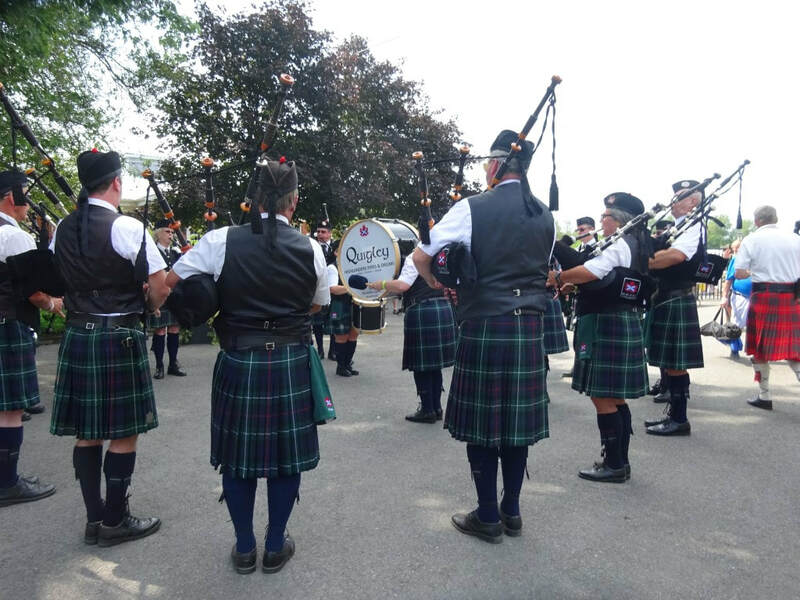 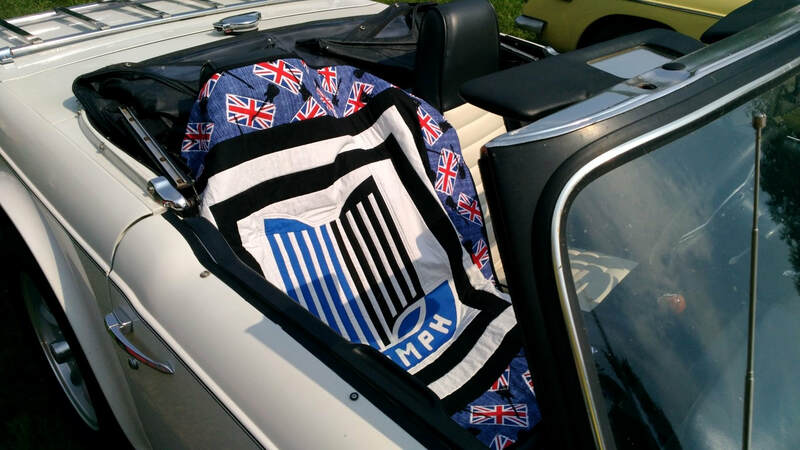 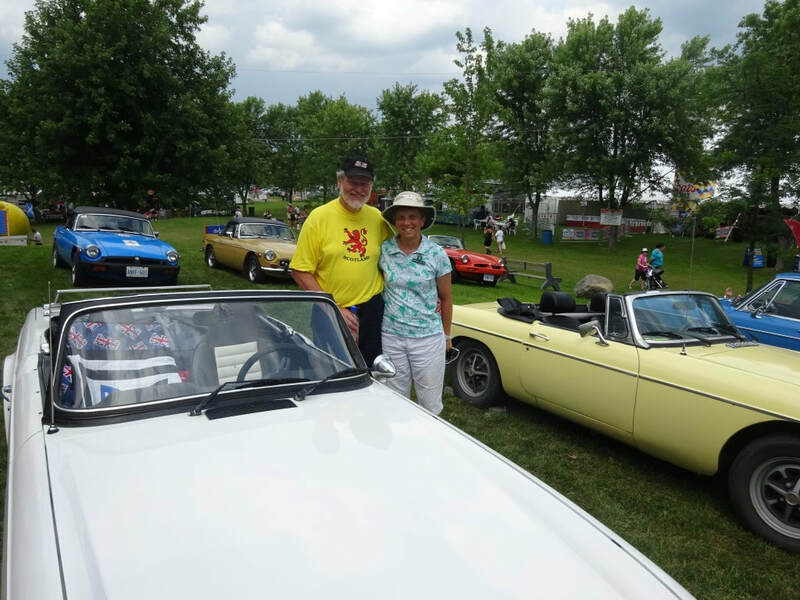 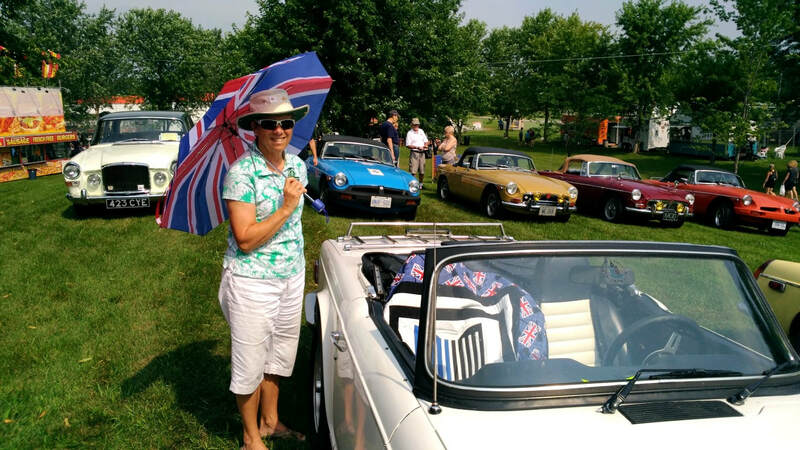 Mike and Marjorie G. represented the club at the British Car Display at the 70th Anniversary of the Games. 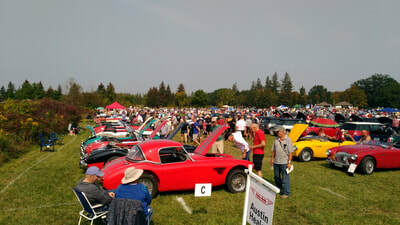 Not as many cars overall as in previous years, but still a great event and nice day. Thanks to Will Robertson for organizing the event again this year at the games. Great day in Kingston. 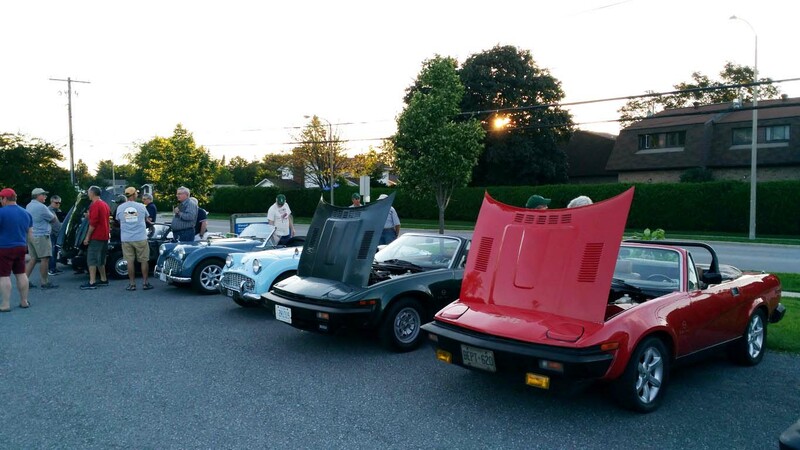 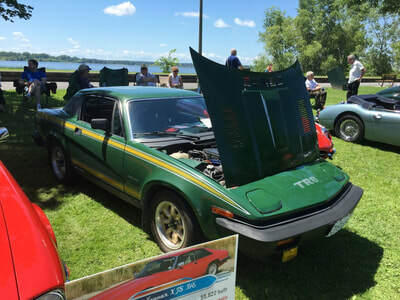 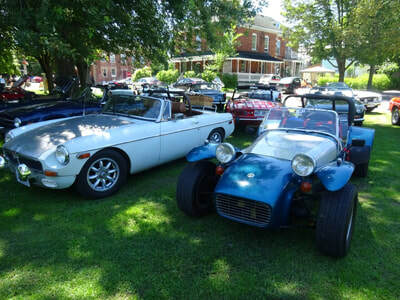 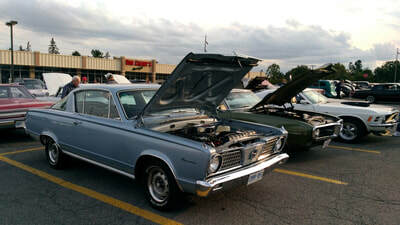 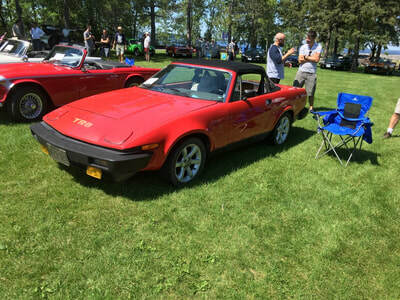 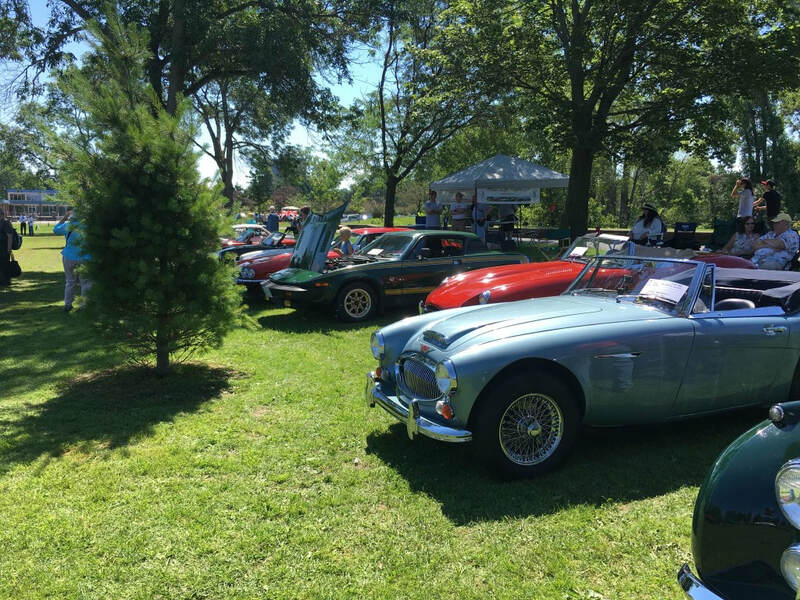 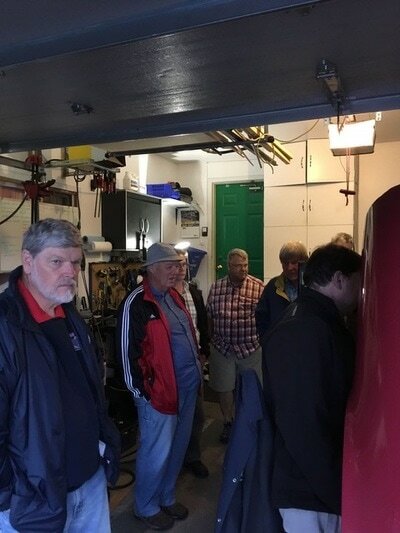 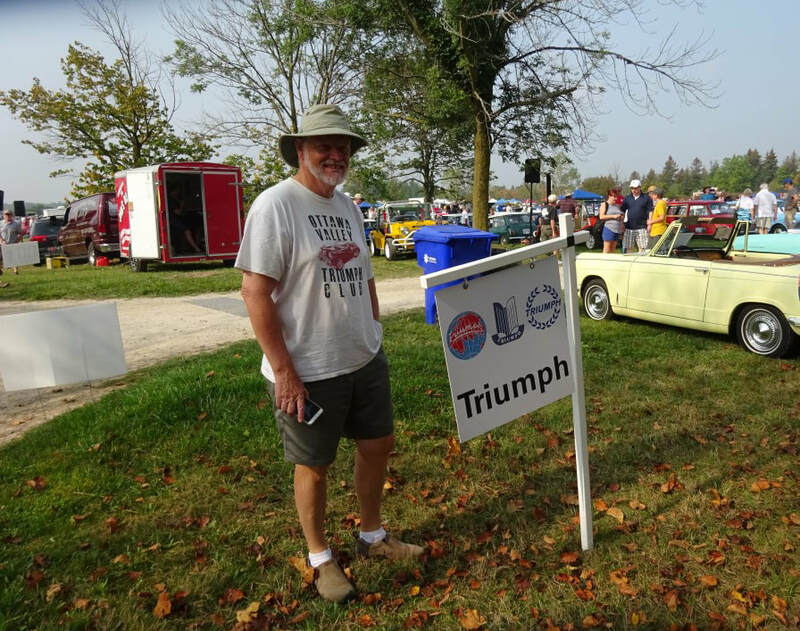 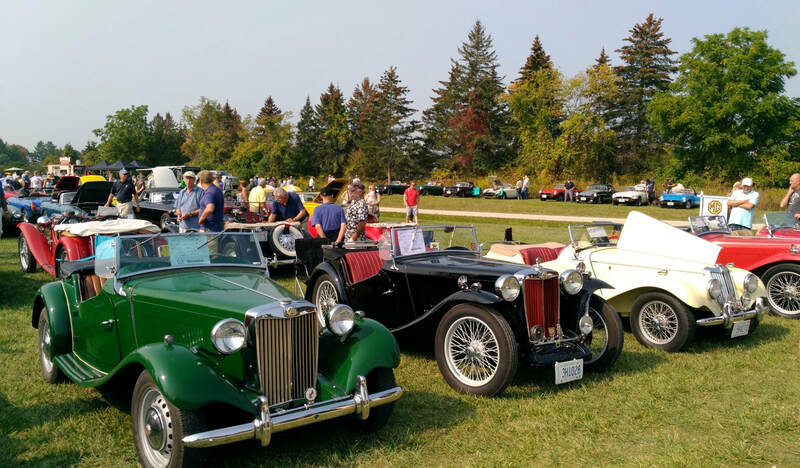 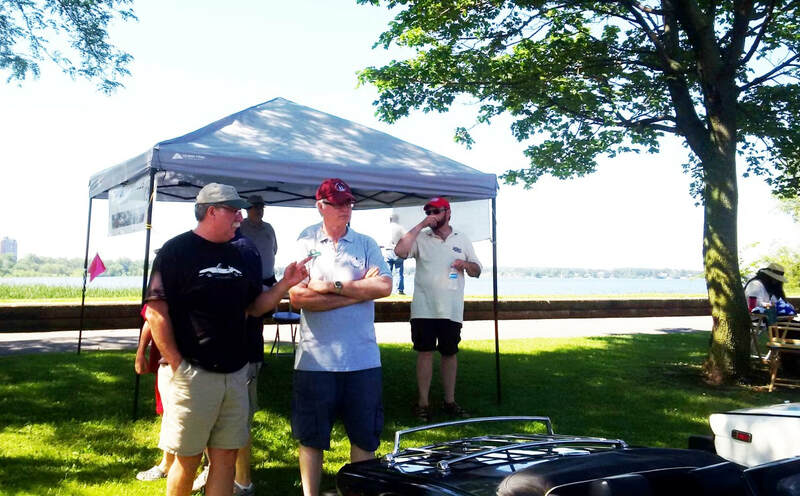 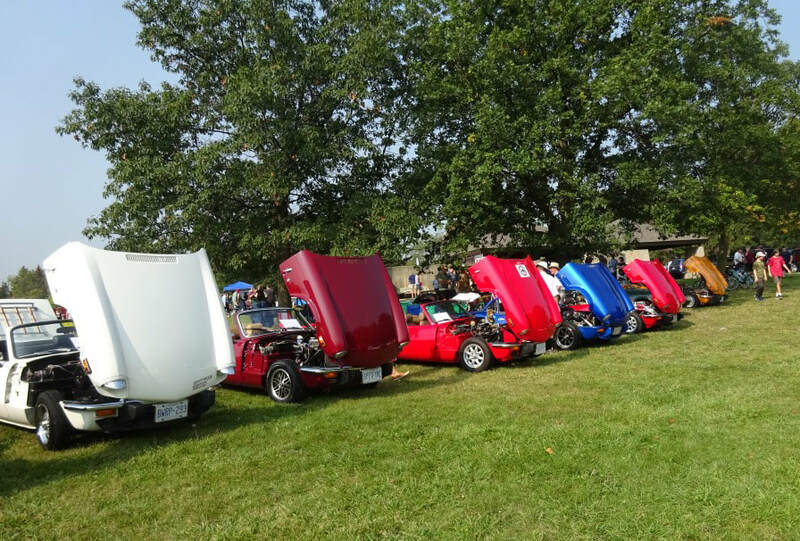 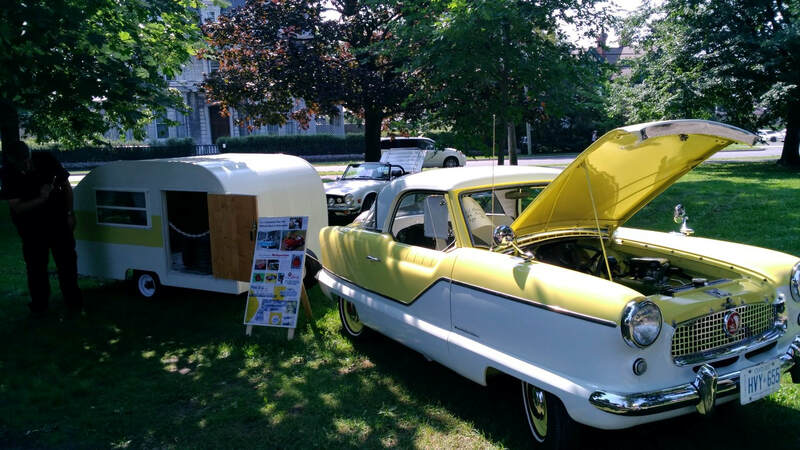 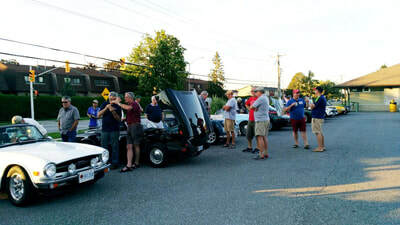 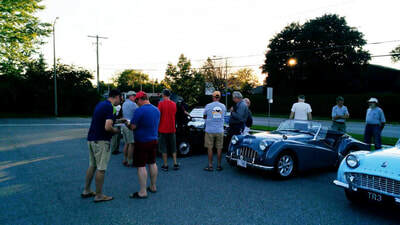 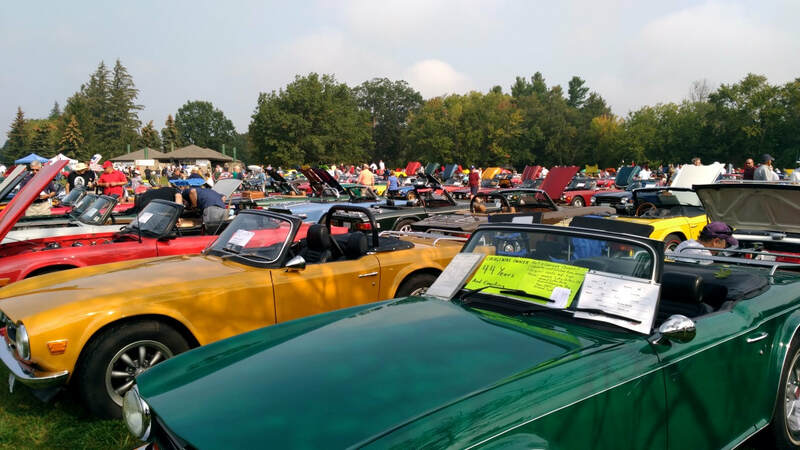 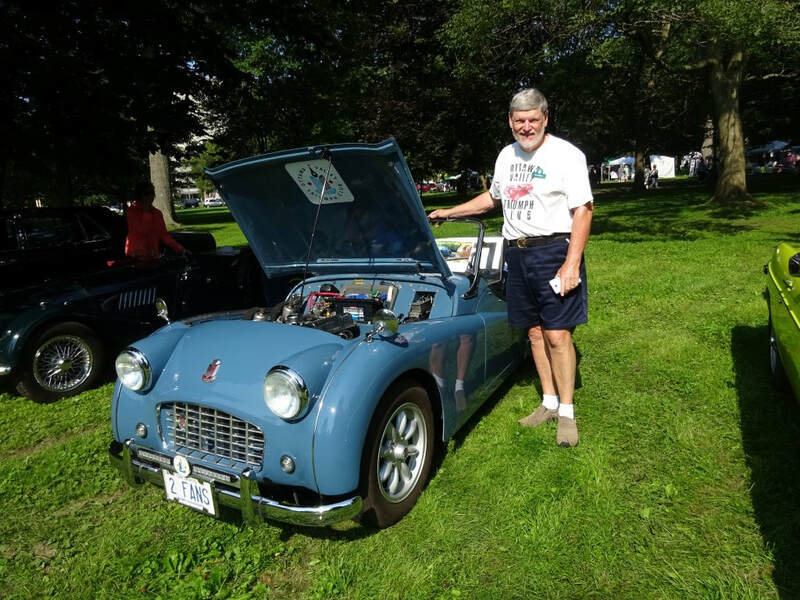 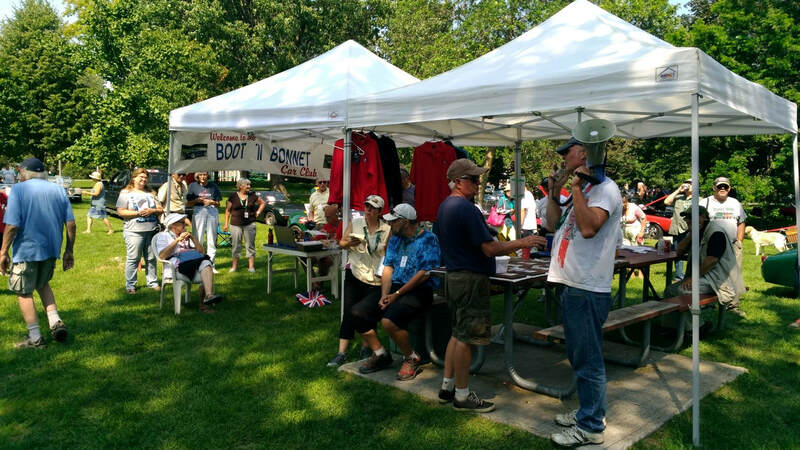 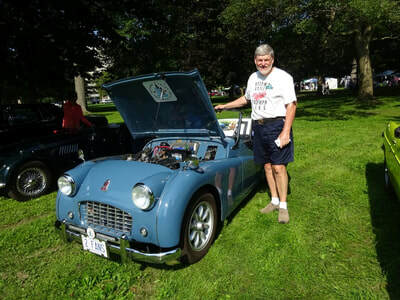 Just over 120 cars registered, and a good representation from OVTC ... Louis B., Michel P., Mike S., Paul B, Paul MacD, and Mike and Marjorie G. Thanks to the Boot 'n' Bonnet Club for another great show. Great chance to catch up with members past and present and to have a meal and refreshments at the Glen Restaurant. 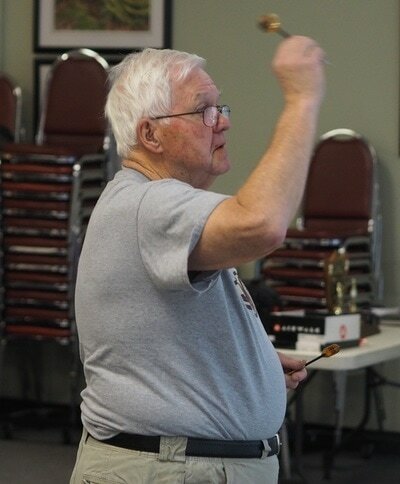 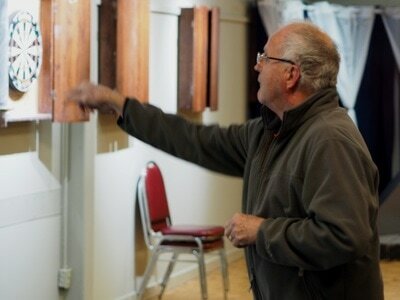 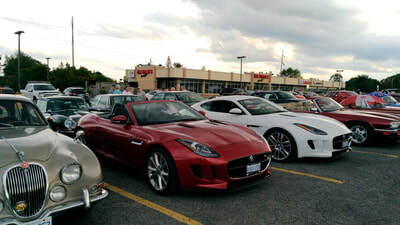 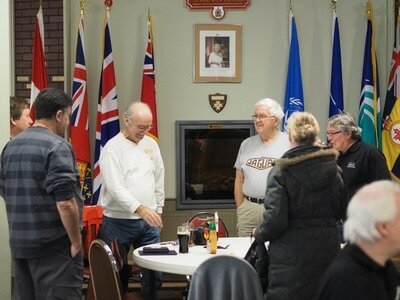 Thanks to Alan Graves of the Jag Club for organizing the event. 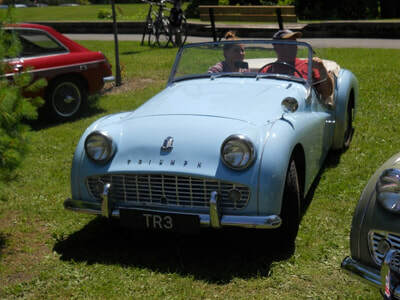 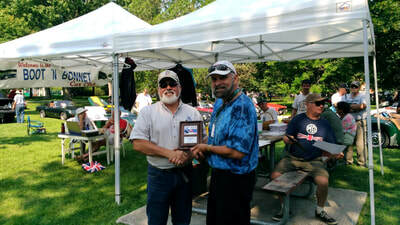 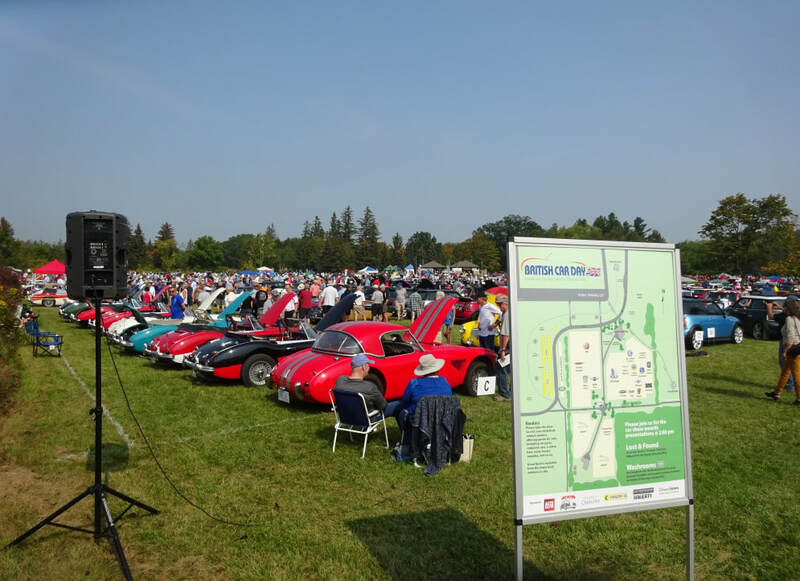 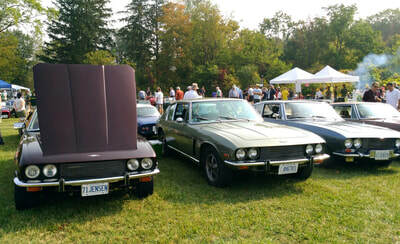 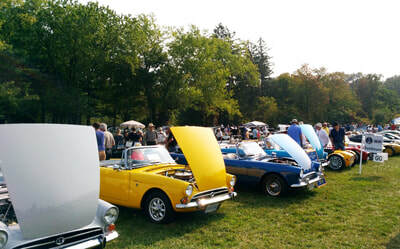 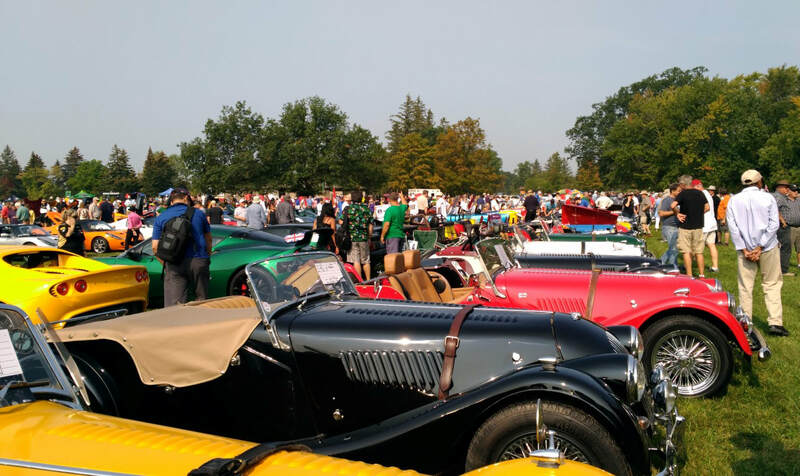 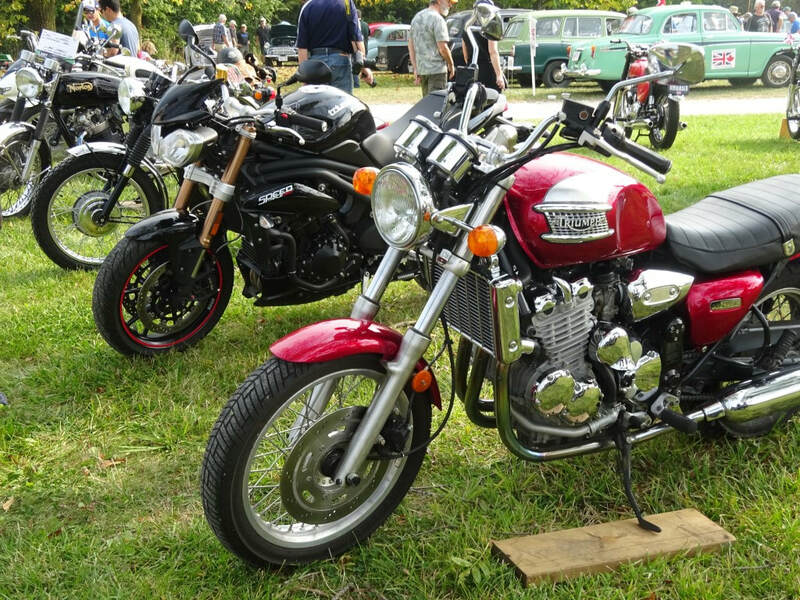 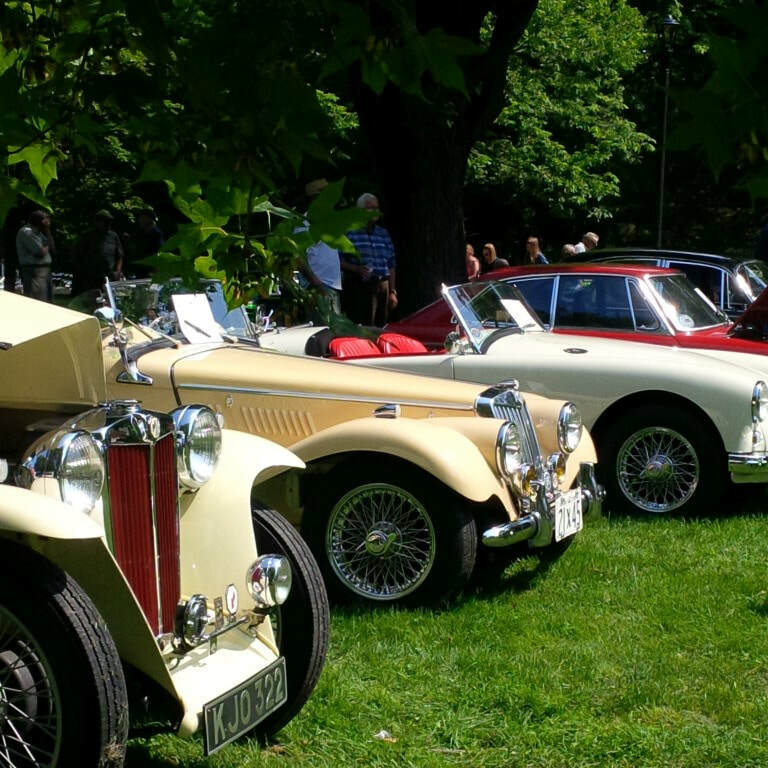 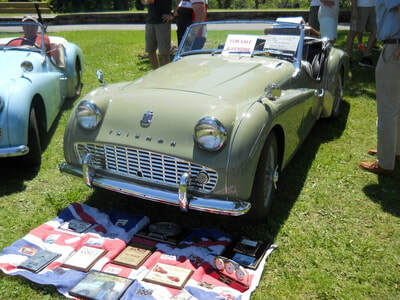 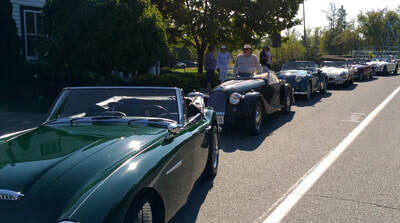 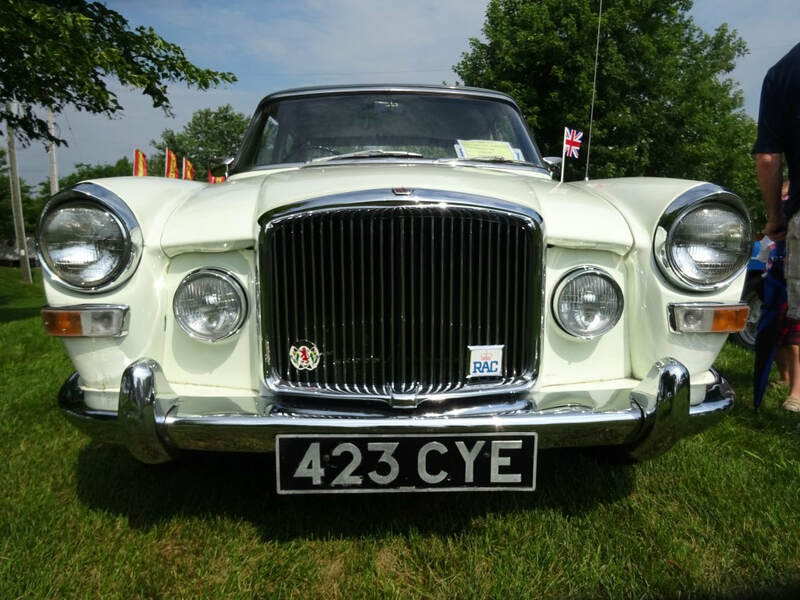 ​Wonderful weather and great attendance at the 34th British Car Day. 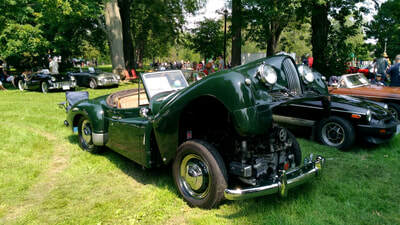 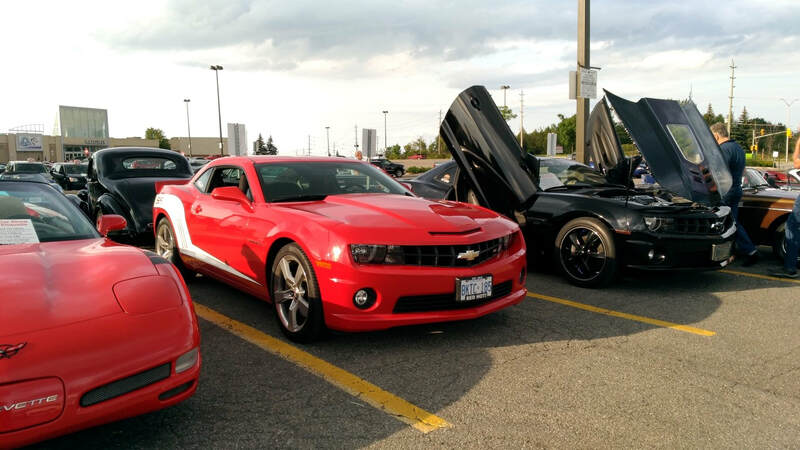 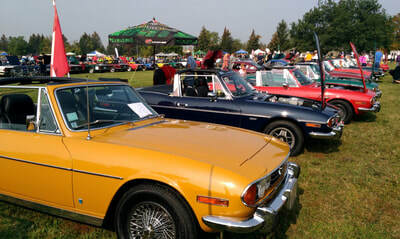 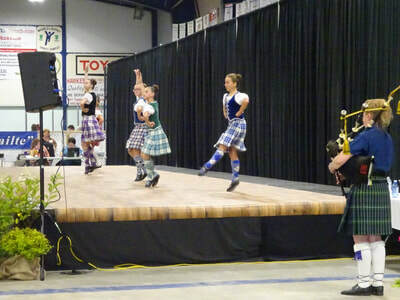 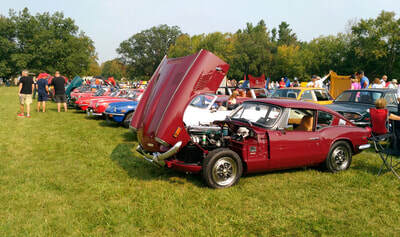 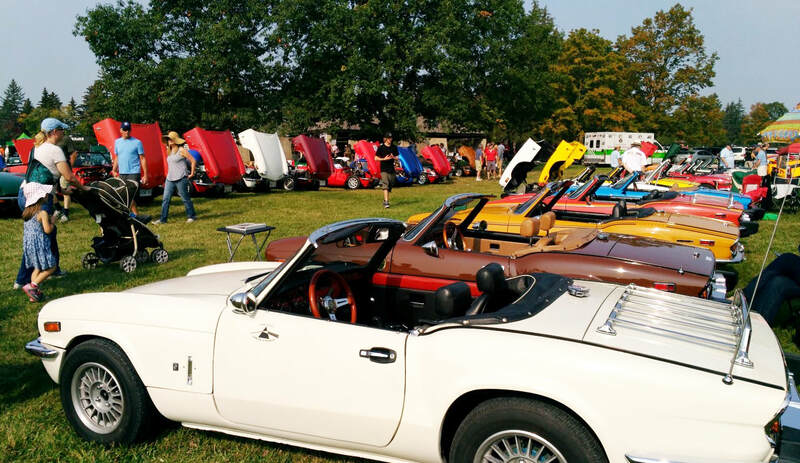 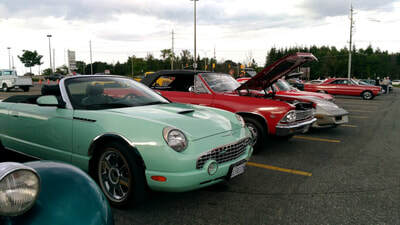 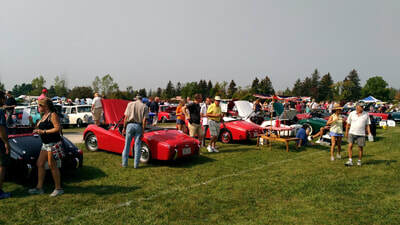 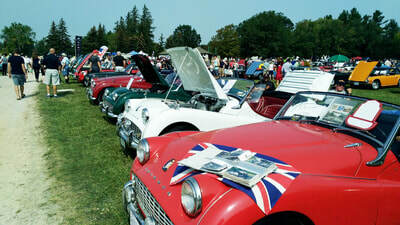 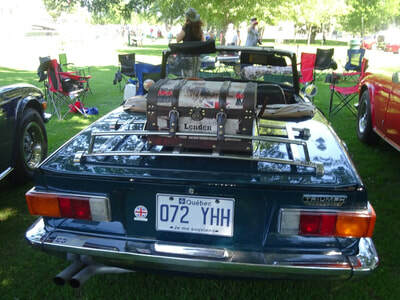 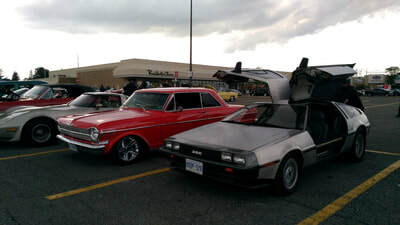 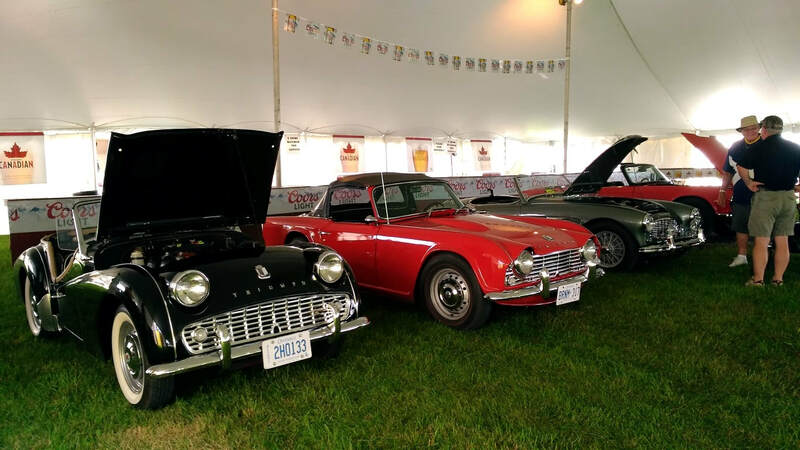 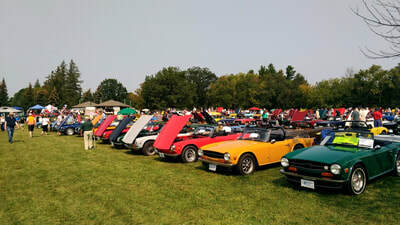 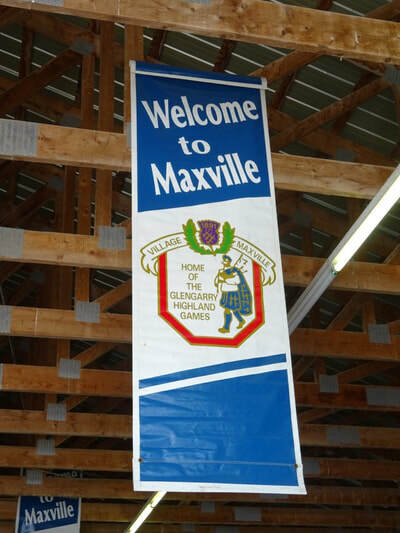 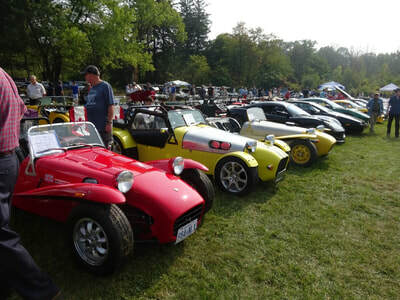 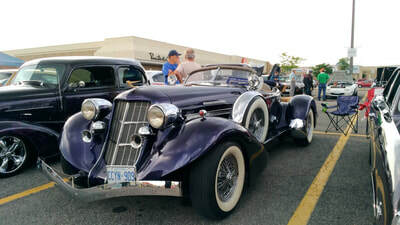 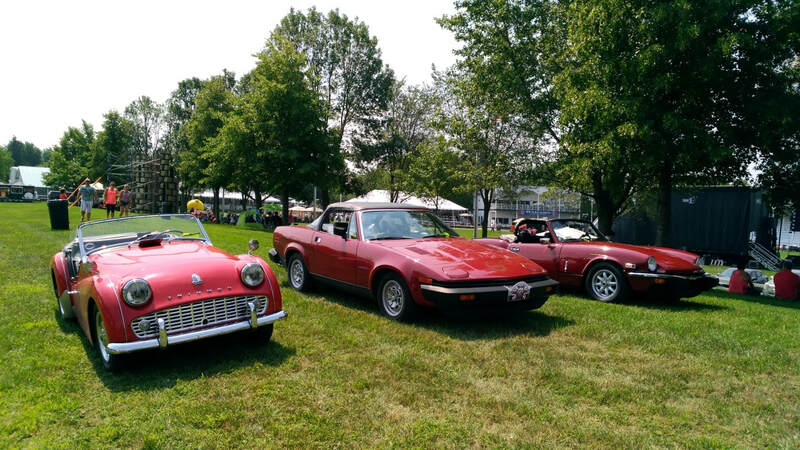 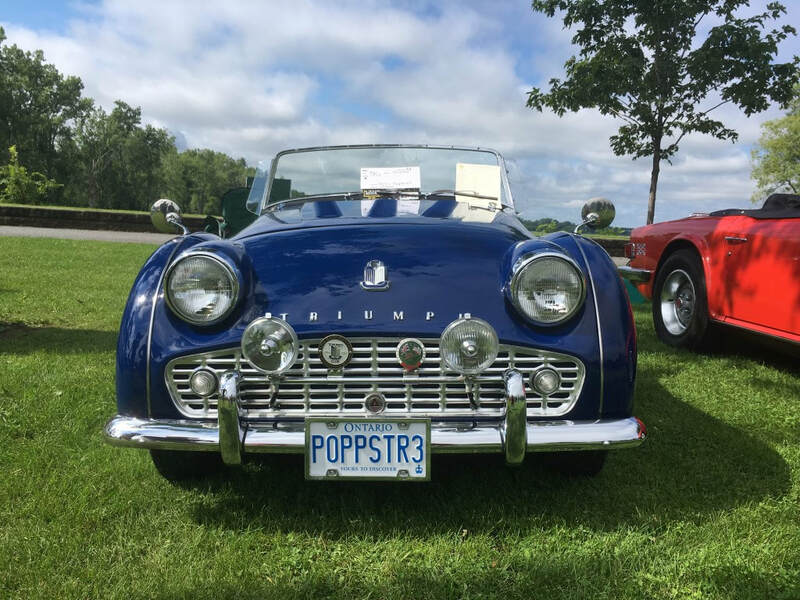 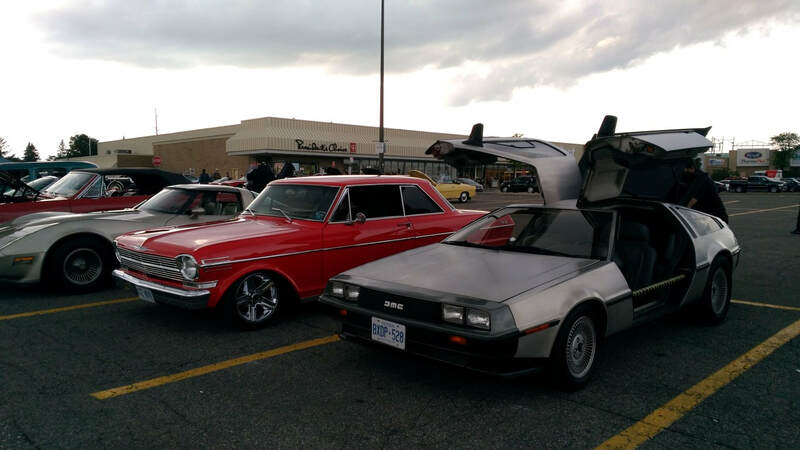 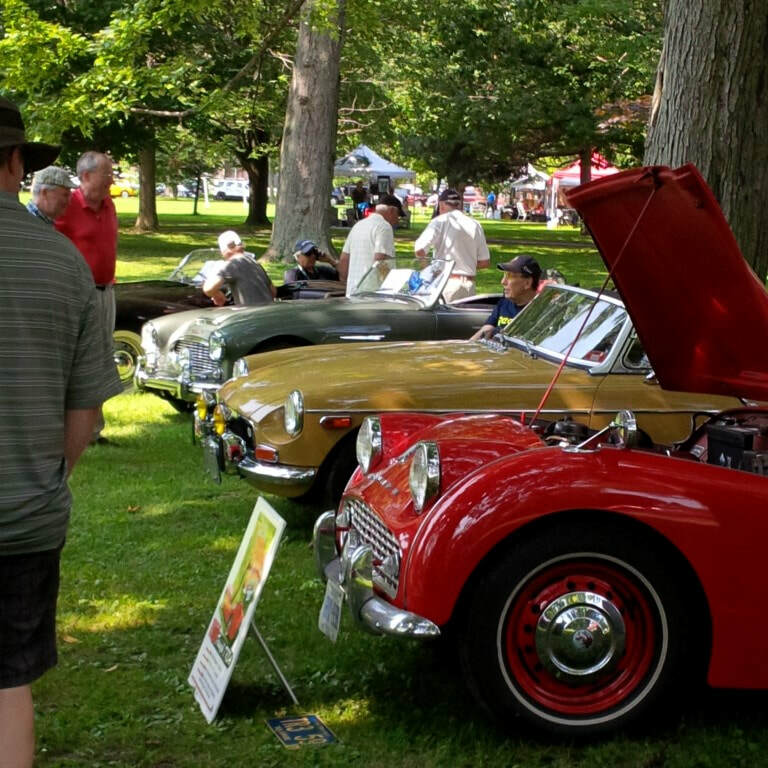 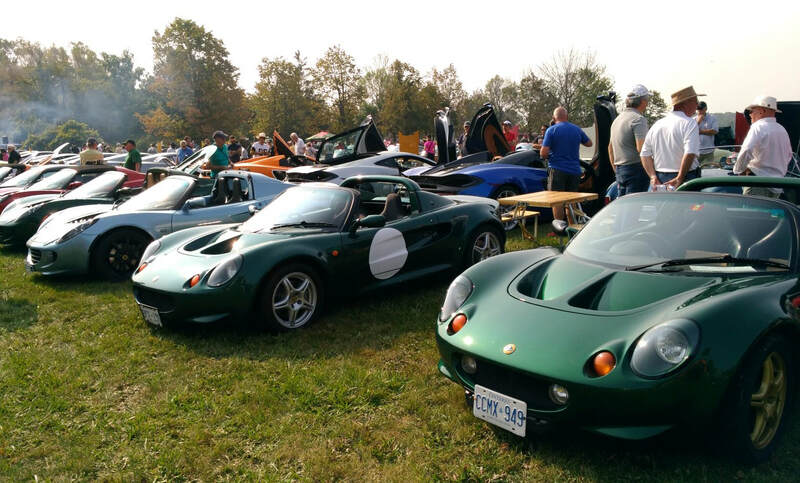 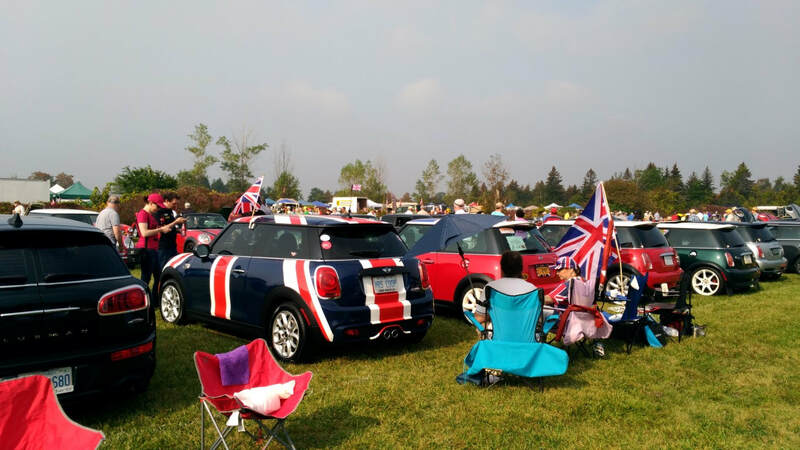 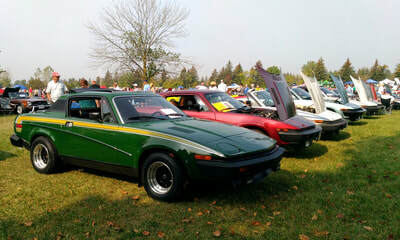 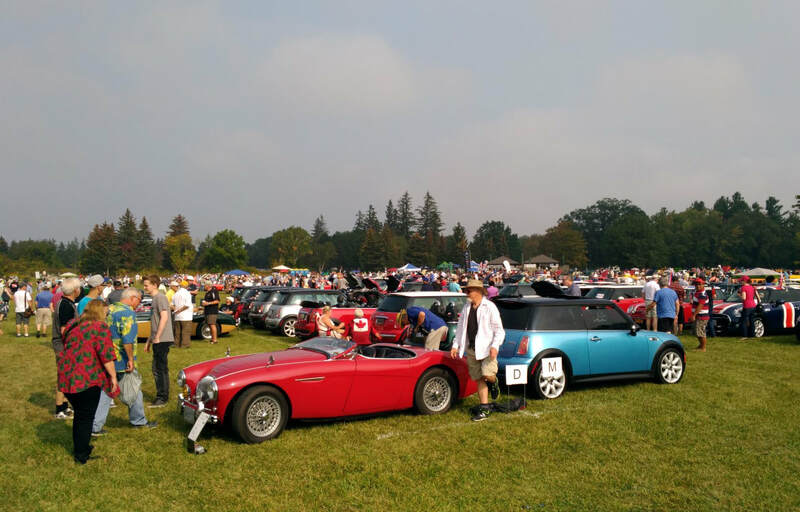 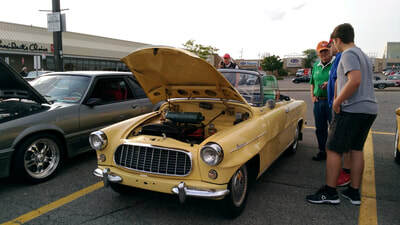 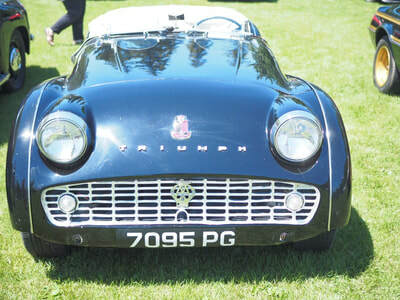 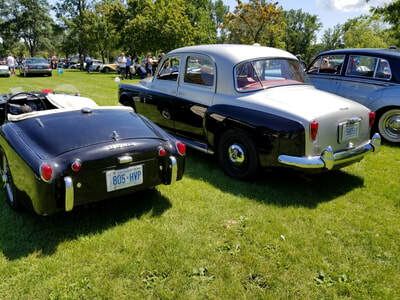 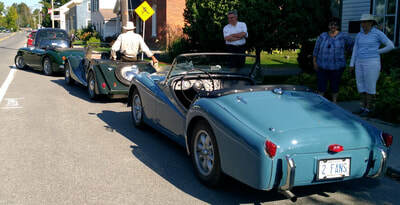 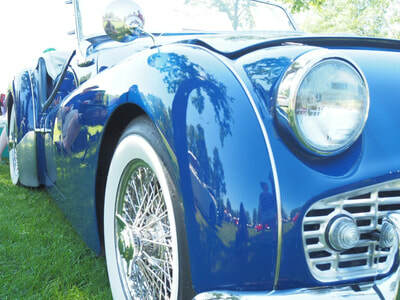 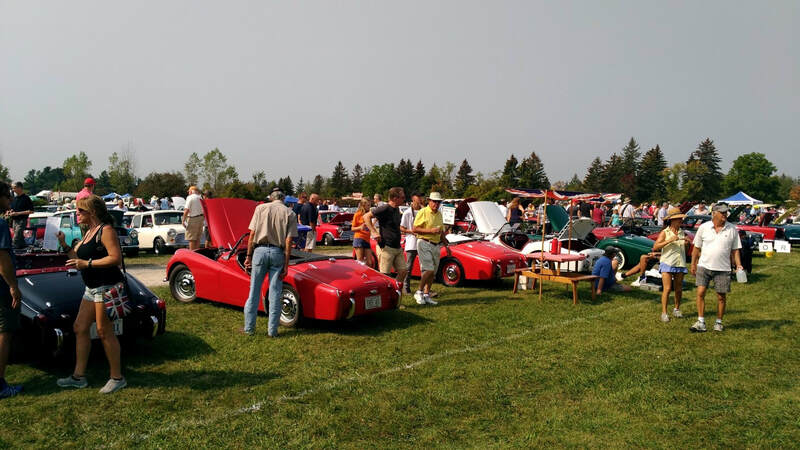 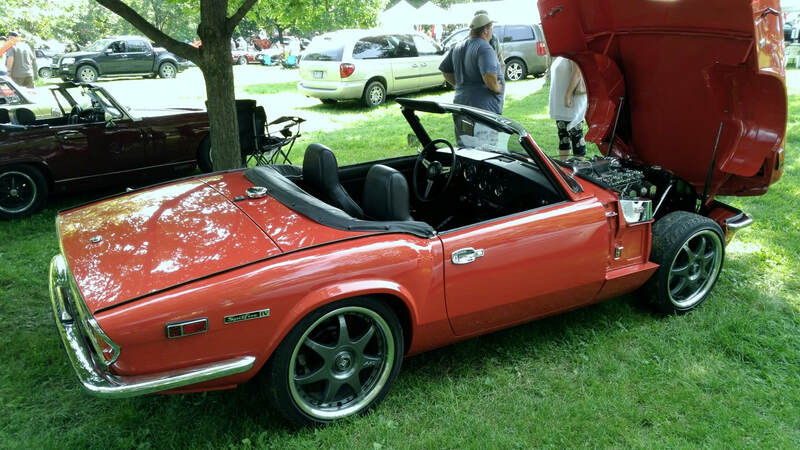 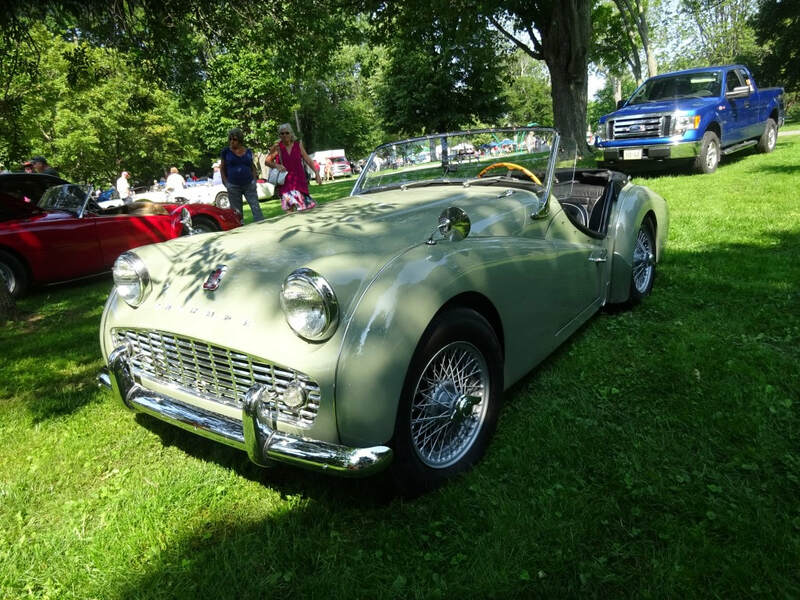 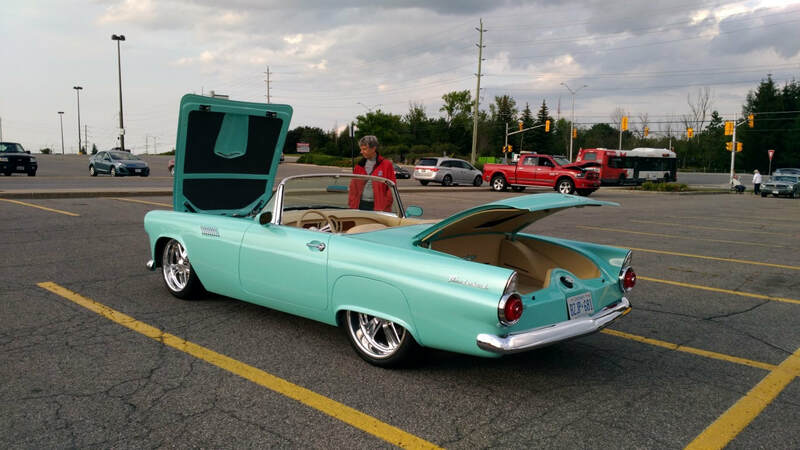 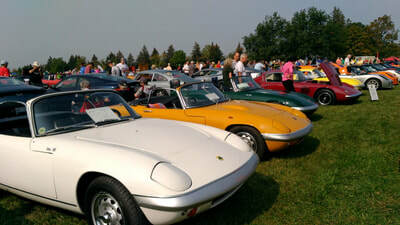 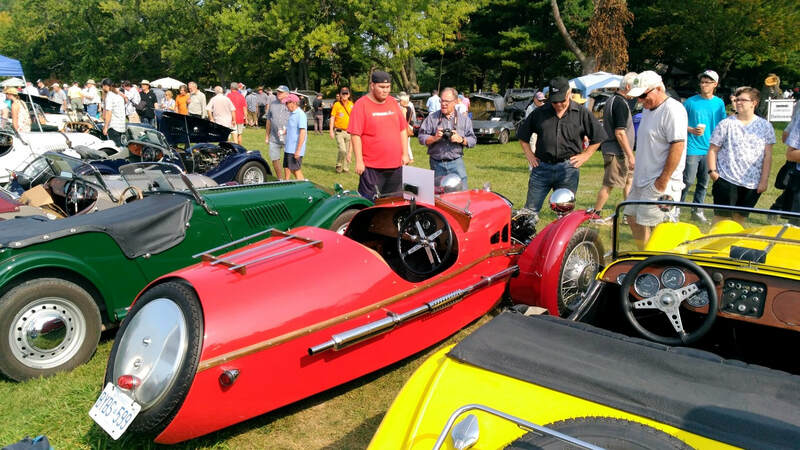 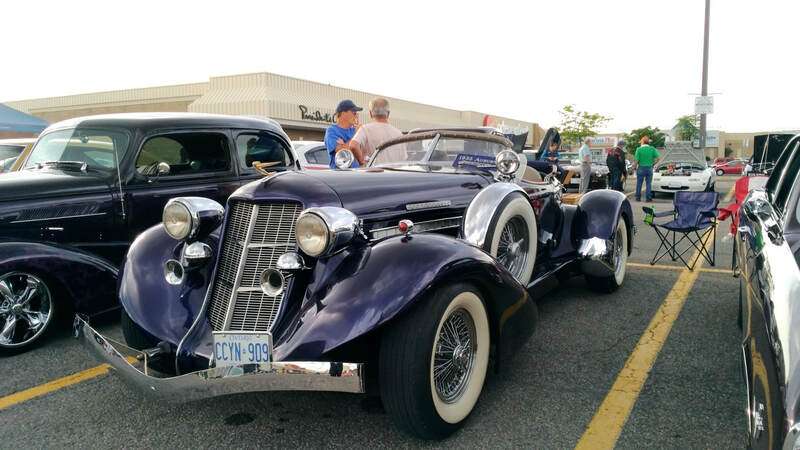 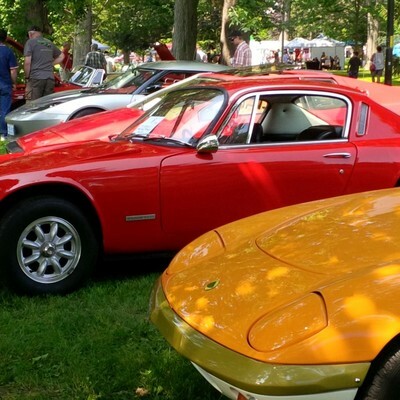 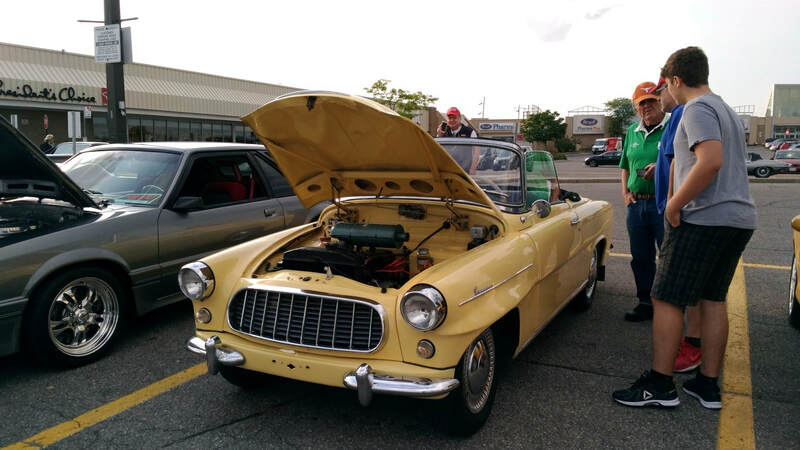 About 1000 cars and 10,000 spectators, making it the largest British car show in North America. Mike and Marjorie Graham attended for the first time this year (sadly not in a TR). 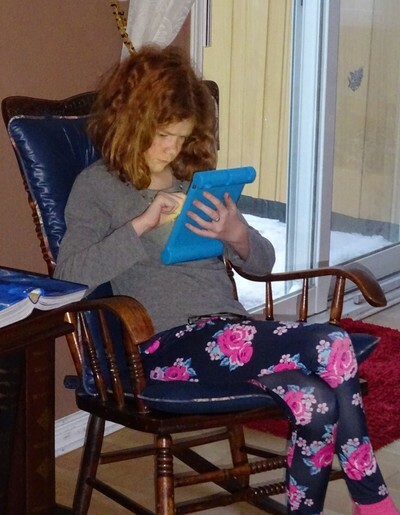 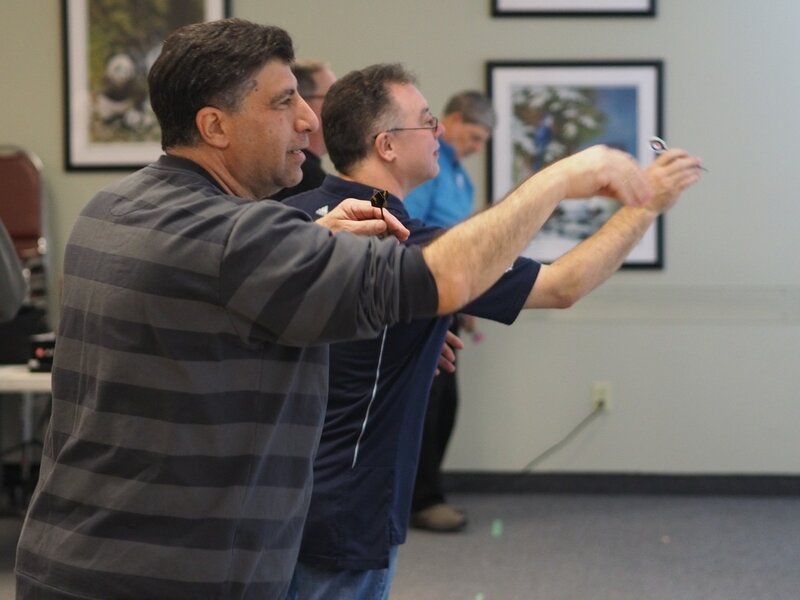 You might also want to check out TTC member Elin Yakov's video on YouTube. 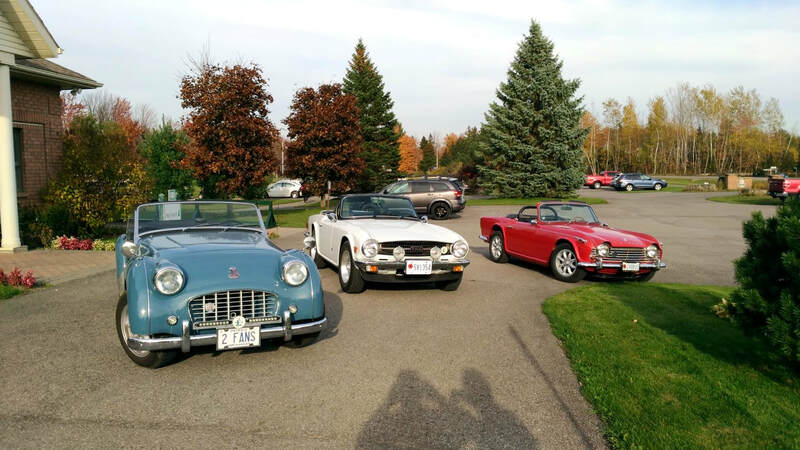 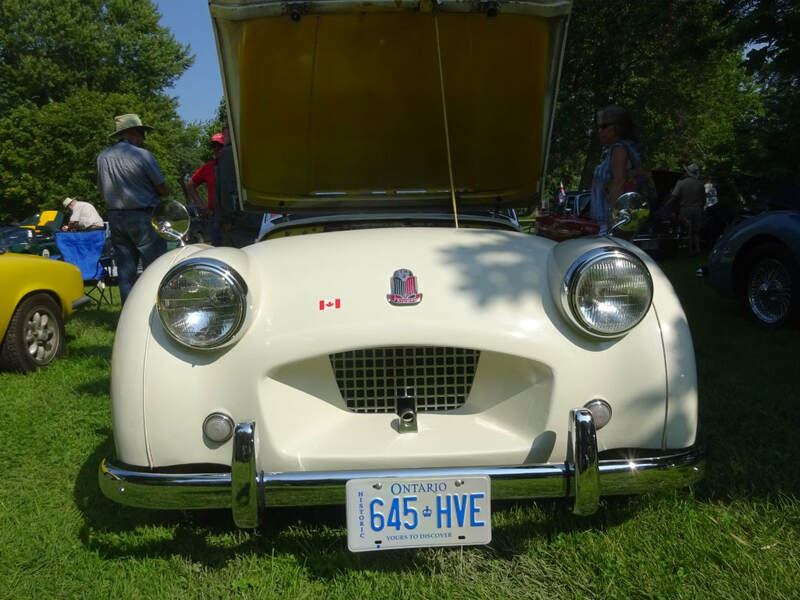 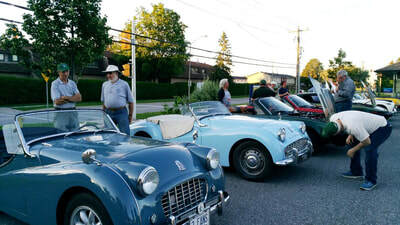 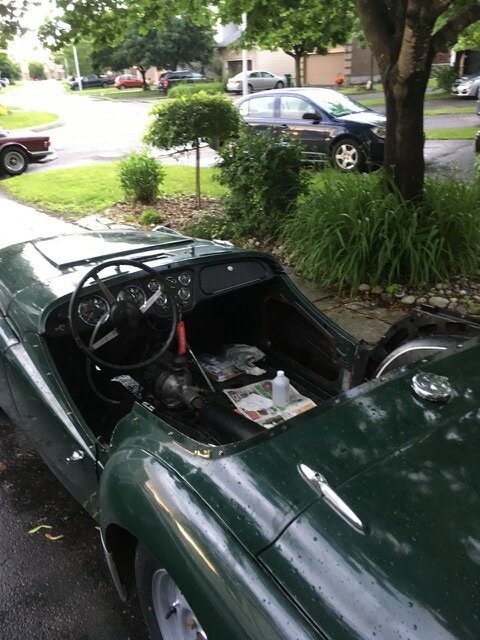 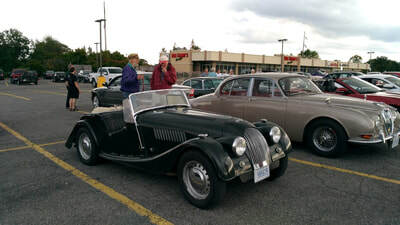 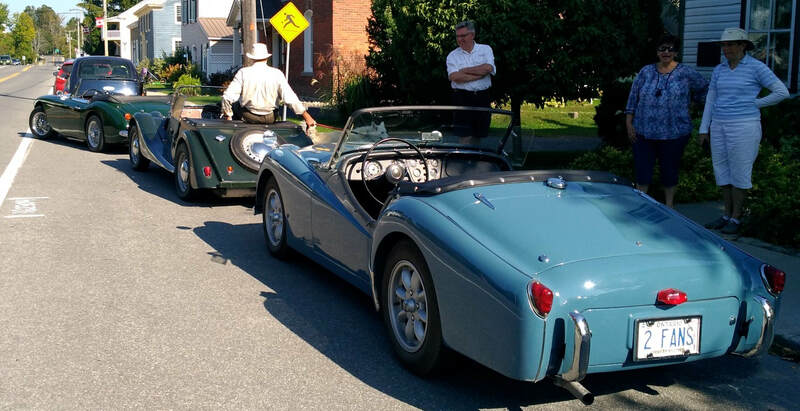 Thanks to Louise and Graham for the invitation to join the Ottawa Austin Healey Club for their Fall tour. 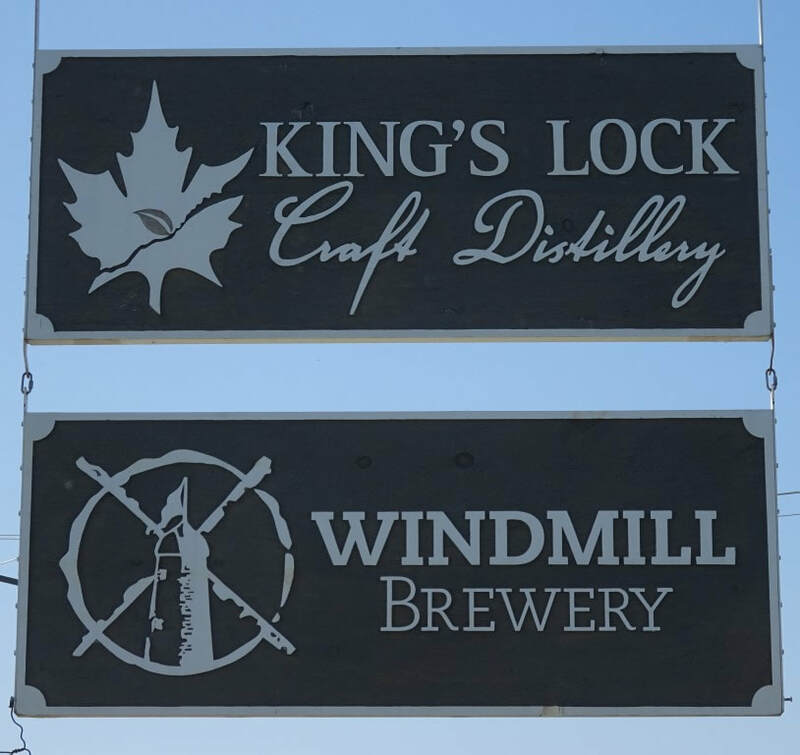 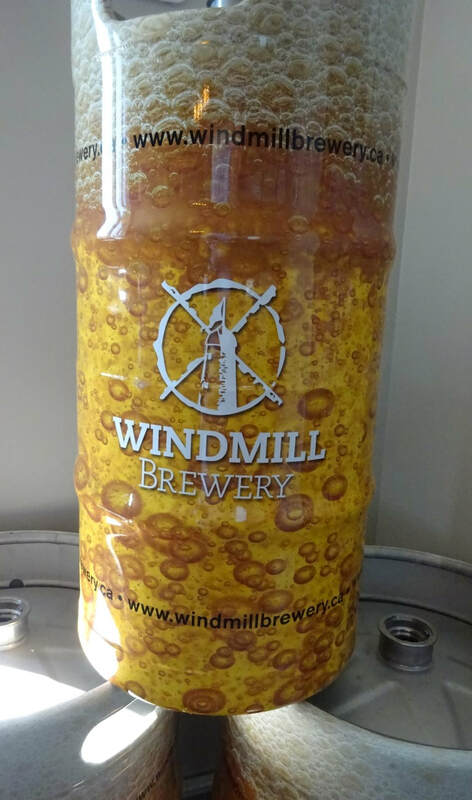 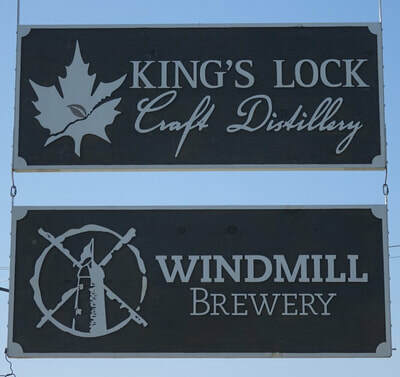 Fantastic day for a drive through Burritts Rapids to Merrickville then on Hwy 15 to North Augusta and Maitland, and along Hwy 2 to Johnstown where we visited the King's Lock Craft Distillery and Windmill Brewery. 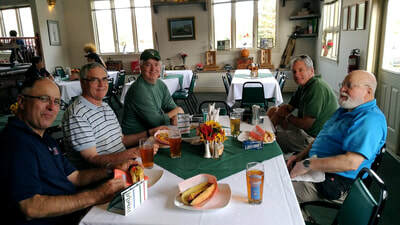 After a tour and some samples, we finished our run by traveling up Hwy 44 for lunch at Joe's Spencerville Bar and Grill. 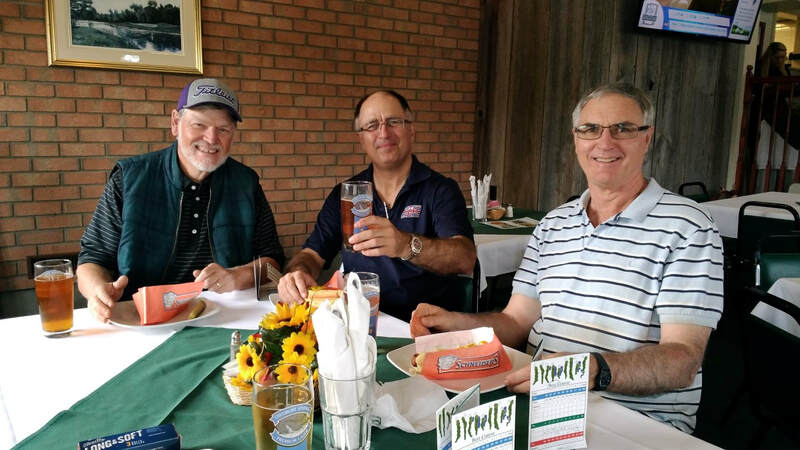 Outstanding weather and good friends made for a fabulous day at Emerald Links golf course. 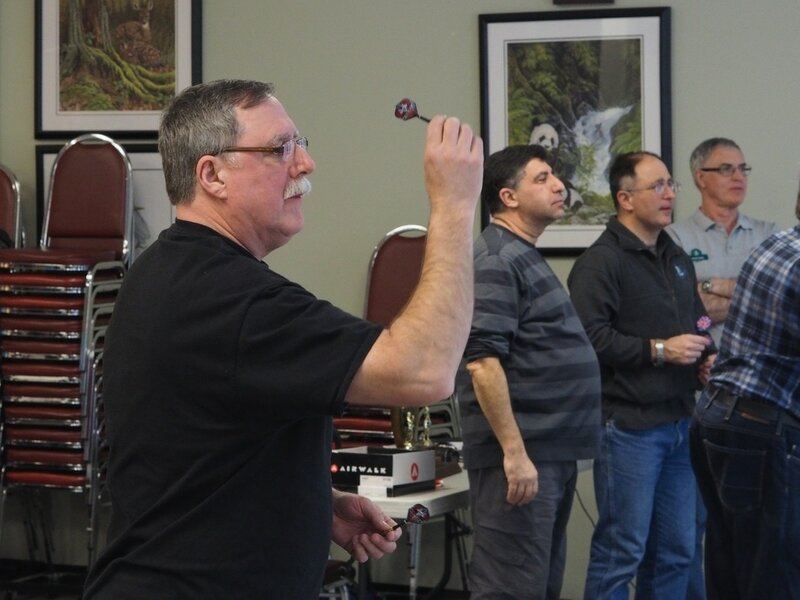 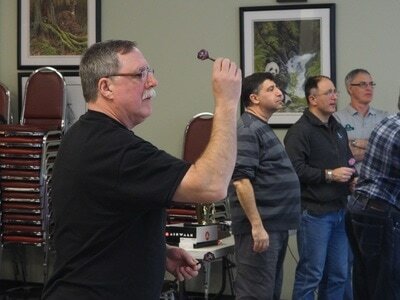 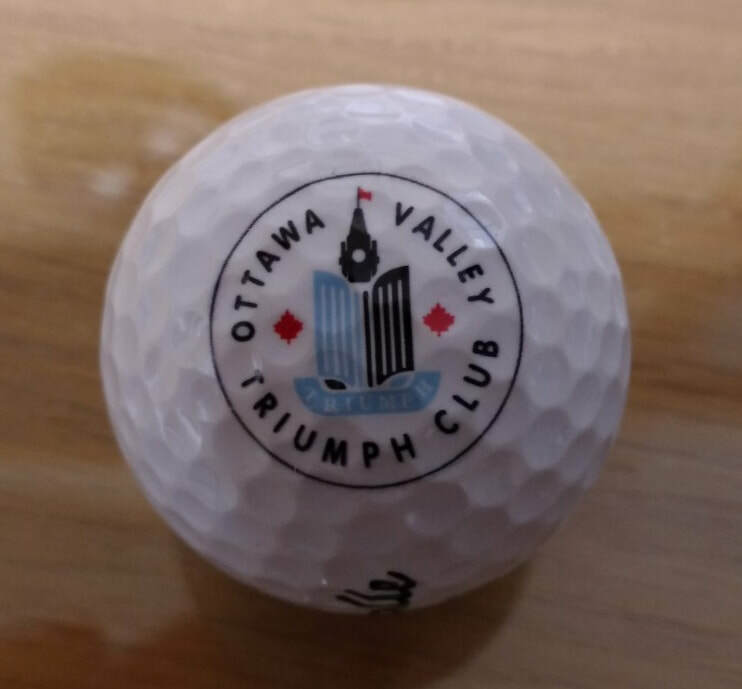 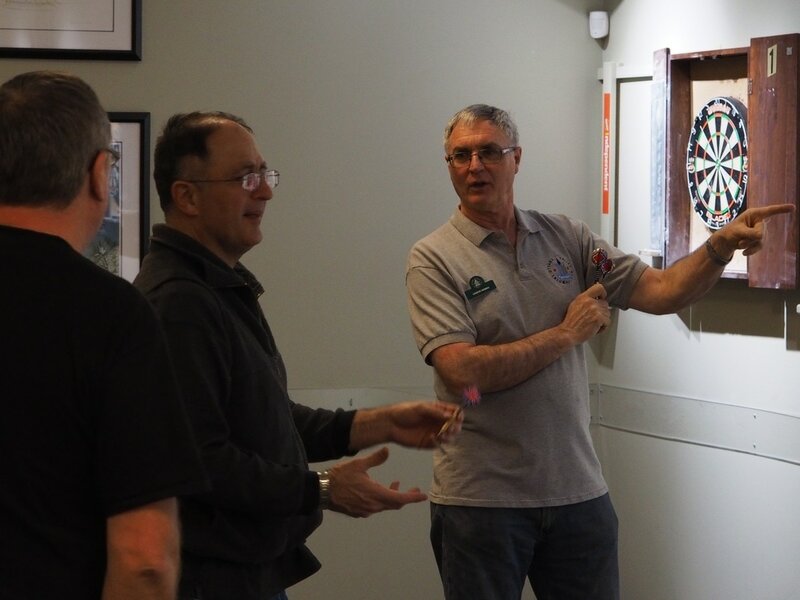 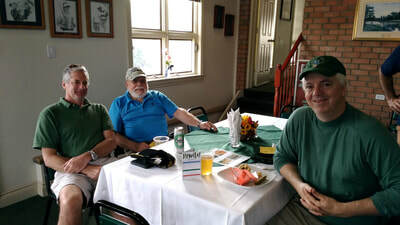 Many thanks to David B. for making the arrangements, and to Chuck for donating some very cool golf balls. 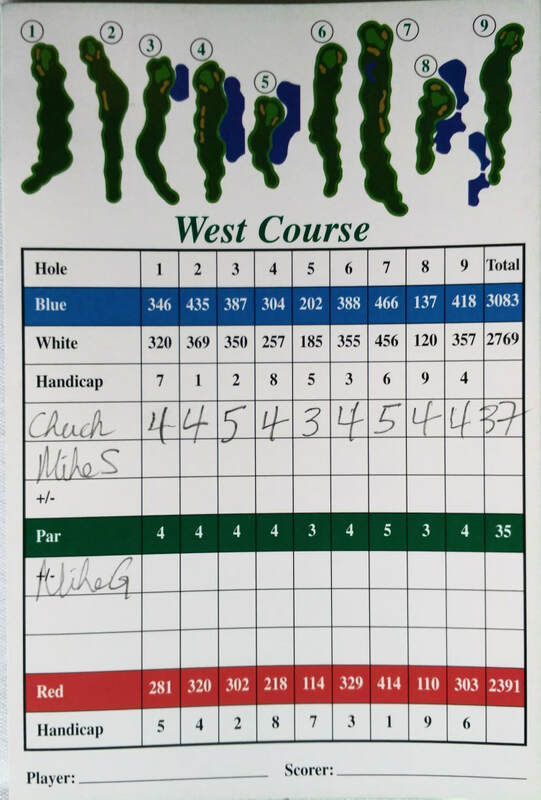 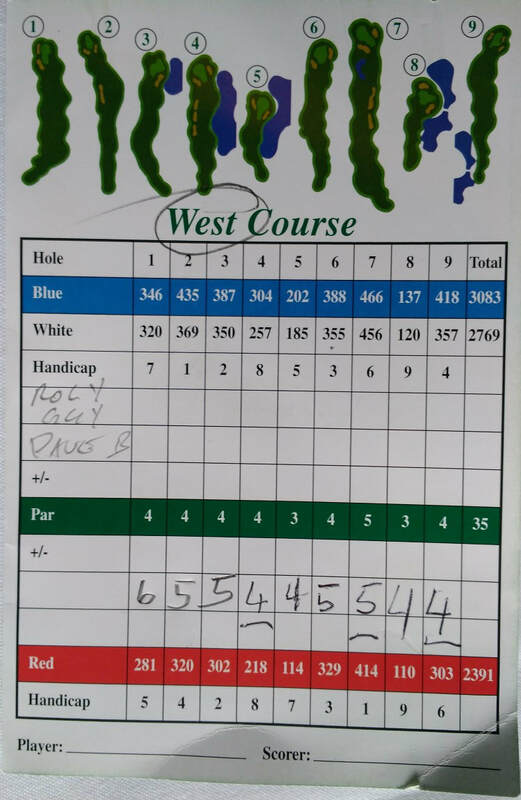 The team of Mike S., Chuck, and Mike G. managed to pull off a win in this second annual OVTC golf tournament in a hard fought battle with Roly, Guy, and David. What a great day on the golf course!